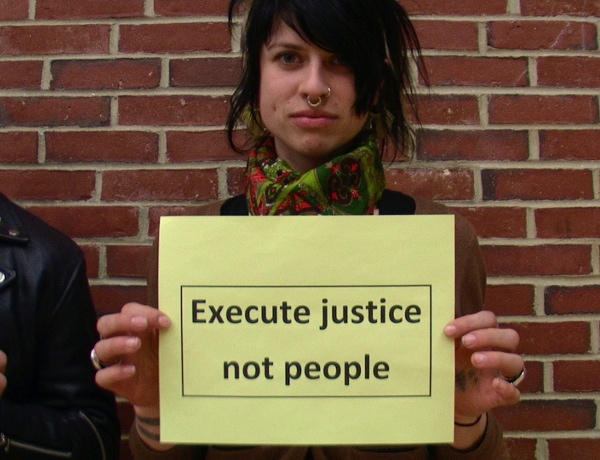 In 1994 in West Memphis, Arkansas, Damien Echols, Jessie Misskelley, Jr., and Jason Baldwin, also known as the West Memphis Three, were wrongfully convicted of the slaying of three young boys. 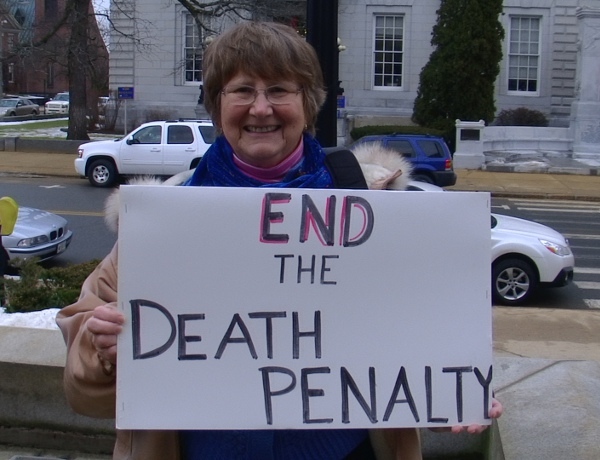 While Misskelley and Baldwin were sentenced to life imprisonment, Echols was sentenced to death. 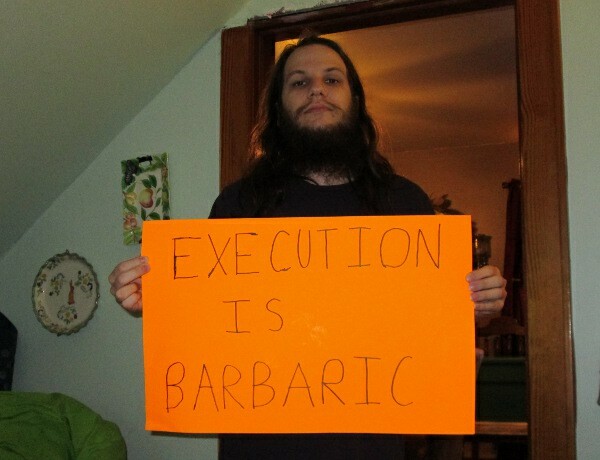 However, due to their resilience and immense outside support, the West Memphis Three were finally freed in 2011. 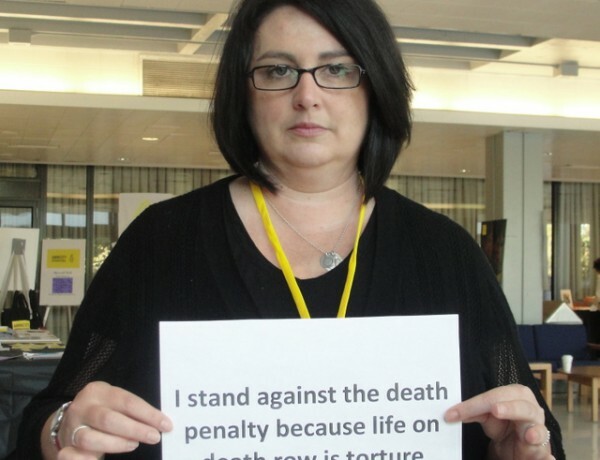 Watch this event video to hear first-hand from Damien Echols and his wife Lorri Davis about his difficult yet triumphant journey. 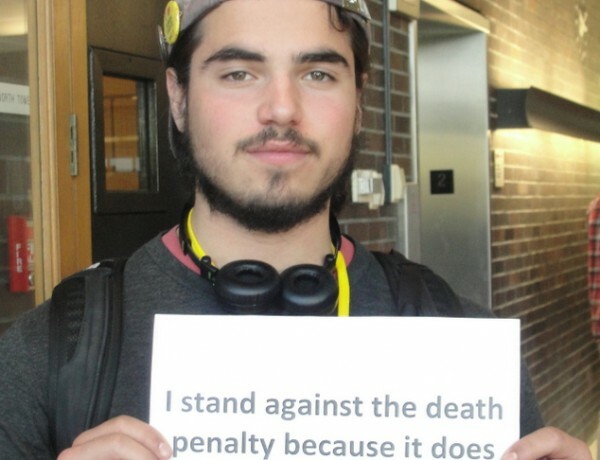 Students with the University of New Hampshire Peace and Justice League held a rally and event on campus Tuesday night to show their opposition to the state’s death penalty. 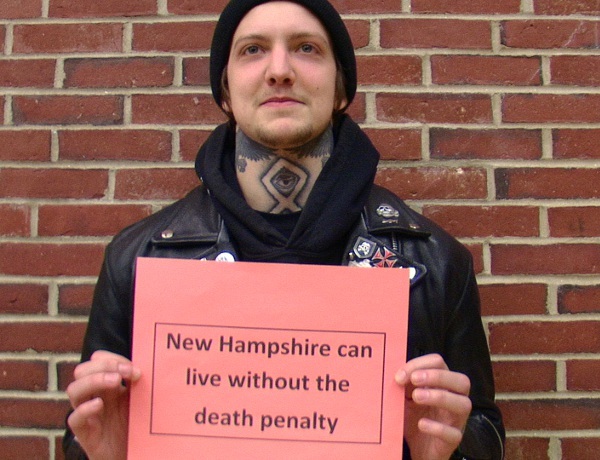 Damien Echols and his wife, Lorri Davis, speak to students at the University of New Hampshire on Tuesday night after sharing their story of fighting Echols’s wrongful conviction for the murder of three boys in Arkansas in 1993. 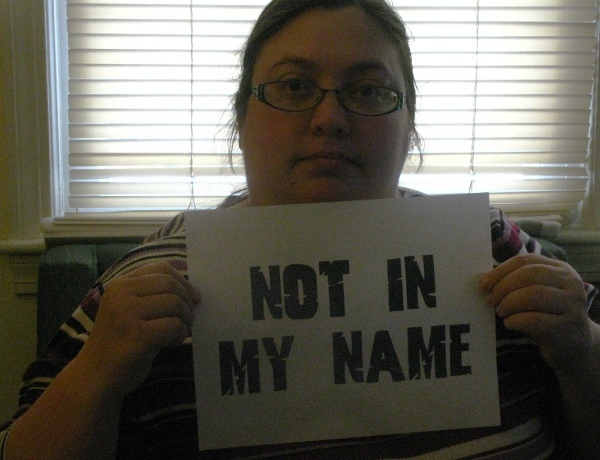 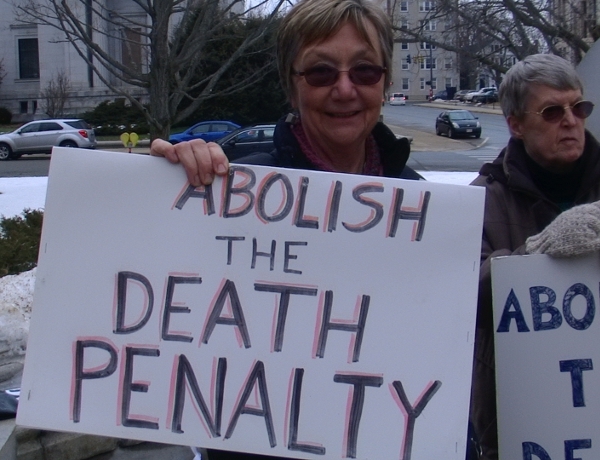 Echols spent 18 years on death row before being released in 2011. 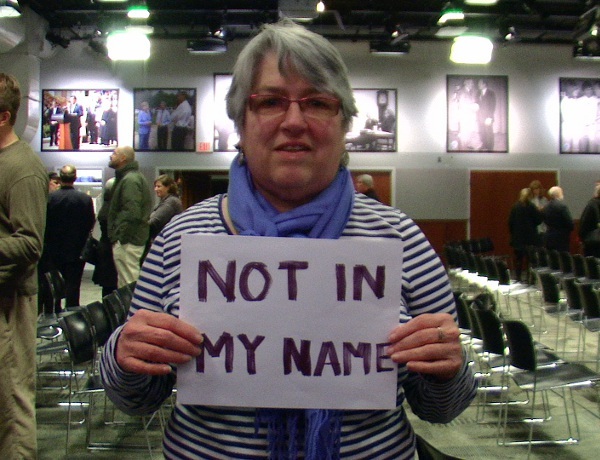 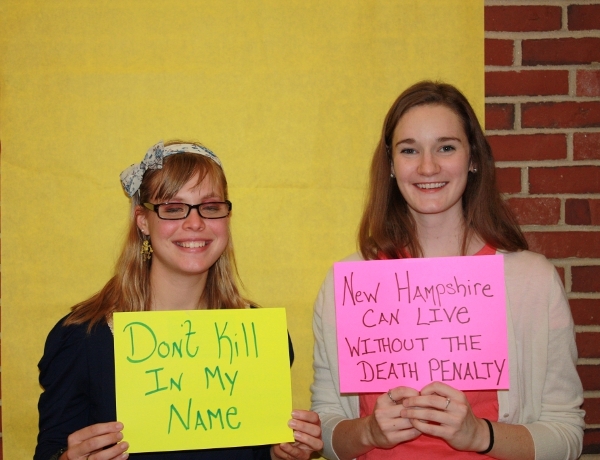 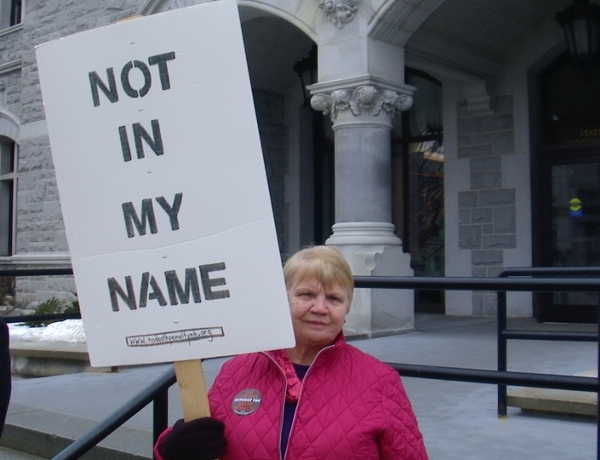 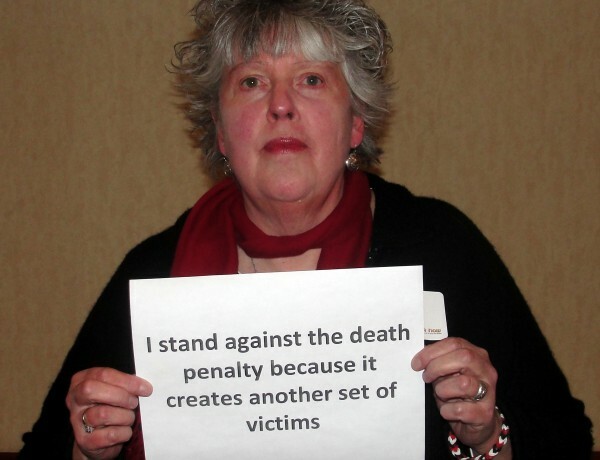 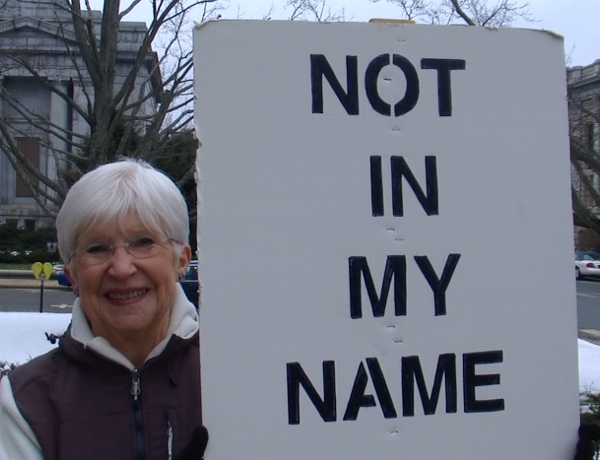 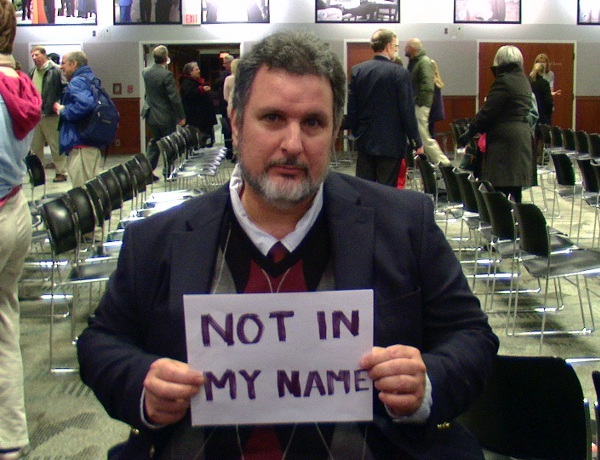 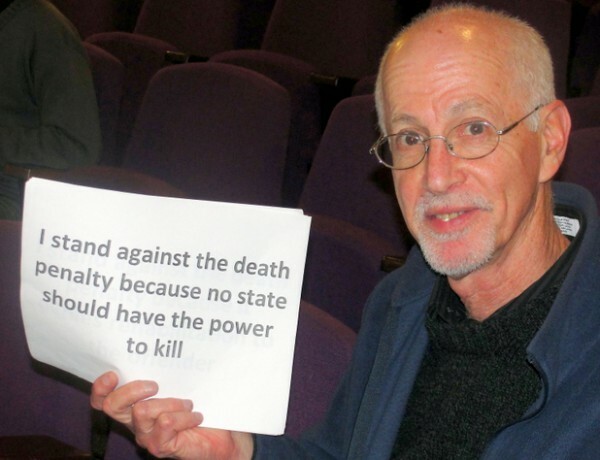 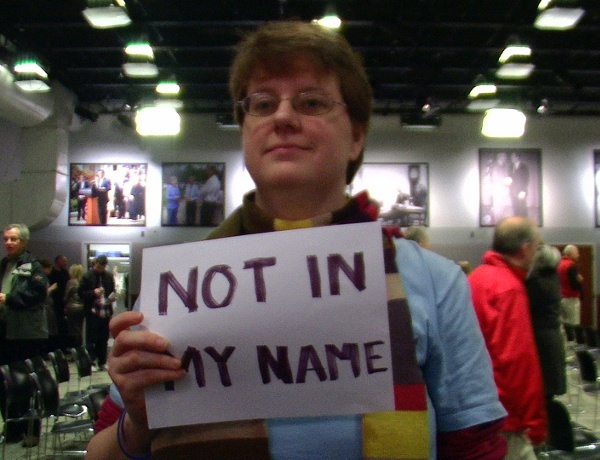 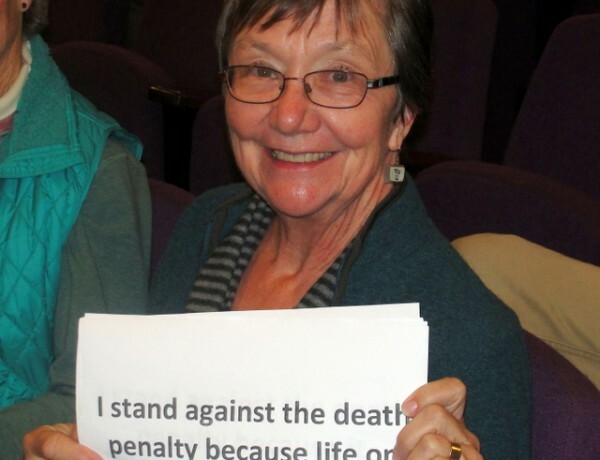 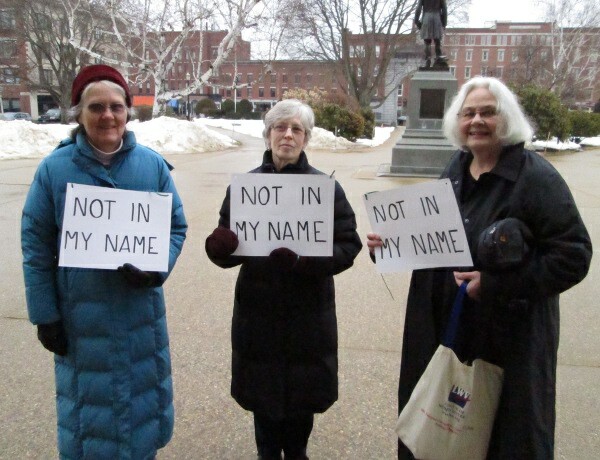 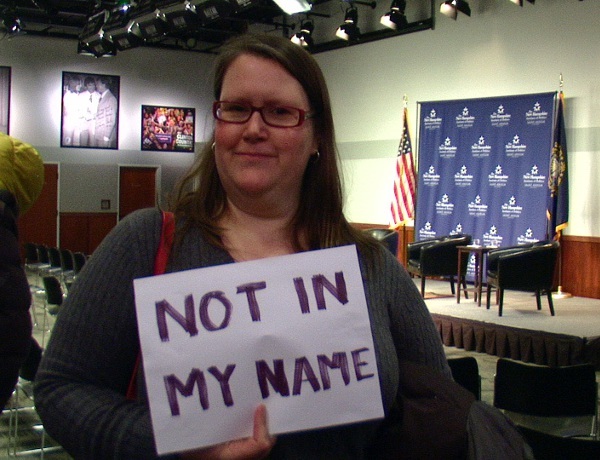 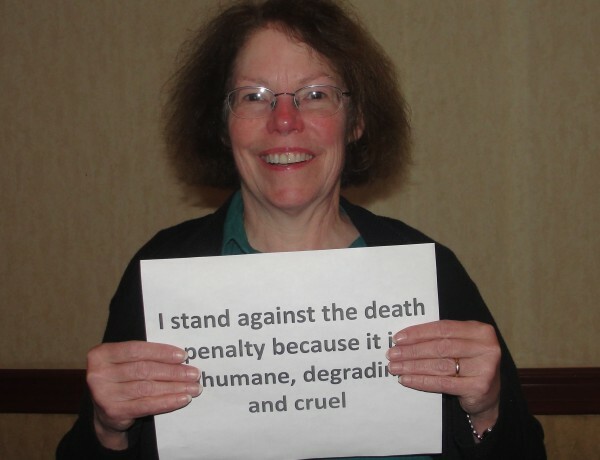 DURHAM — As the New Hampshire House prepares to vote on the latest bill to be introduced seeking the repeal of the state’s death penalty law, a small group of students at the University of New Hampshire organized a large event on Tuesday night to show their support of it. 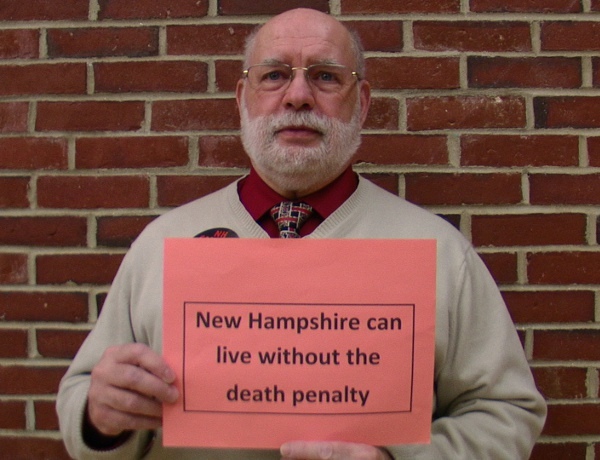 They were joined by representative Robert “Renny” Cushing of Hampton, the prime sponsor of House Bill 1170, which passed out of the criminal justice and public safety committee by a vote of 14-3 and is expected to reach the floor of the House in a couple of weeks. 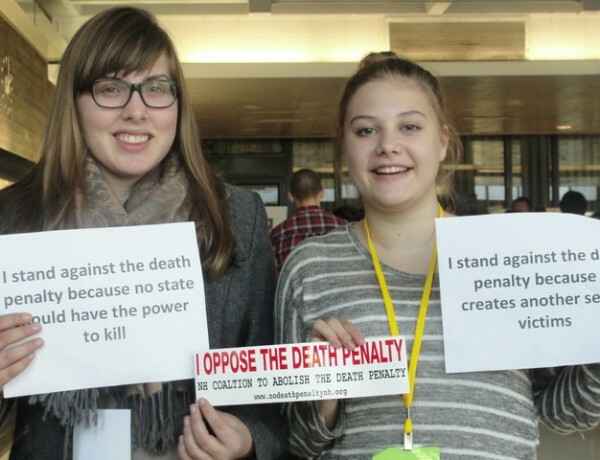 Following the small rally, hundreds of students gathered in the Memorial Union Building to hear from Damien Echols, one of the infamous “West Memphis Three” wrongfully convicted of the murder of three 8-year-old boys in Arkansas in 1993. 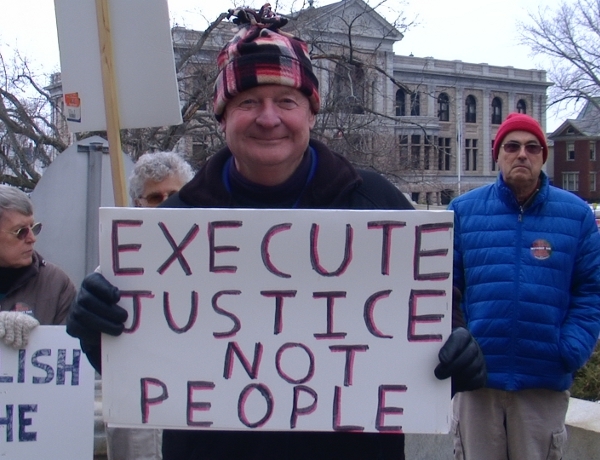 Echols spent 18 years and 76 days in prison, most of that time on death row, before being released in 2011 under an unusual plea deal that essentially lets him and the other two men convicted maintain their innocence while pleading guilty. 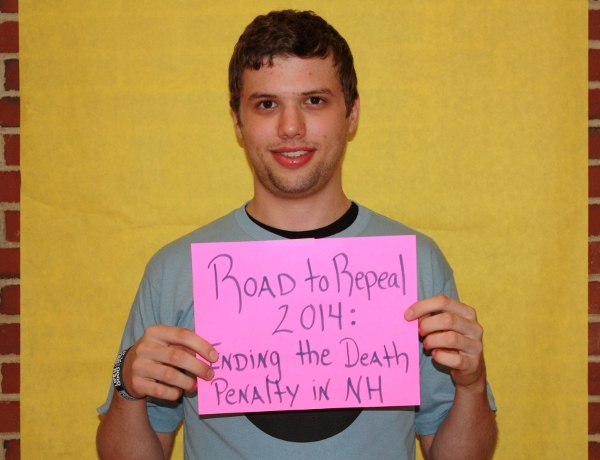 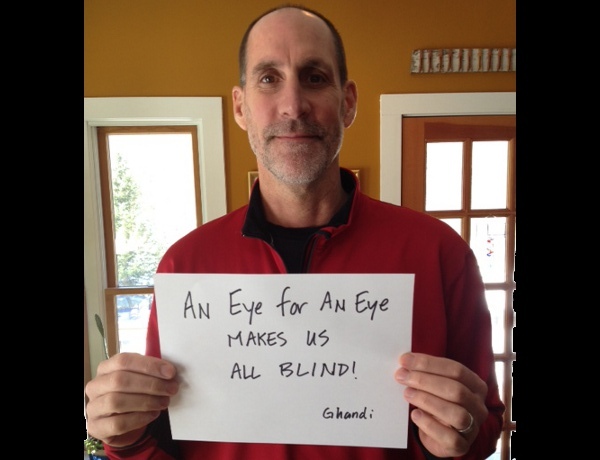 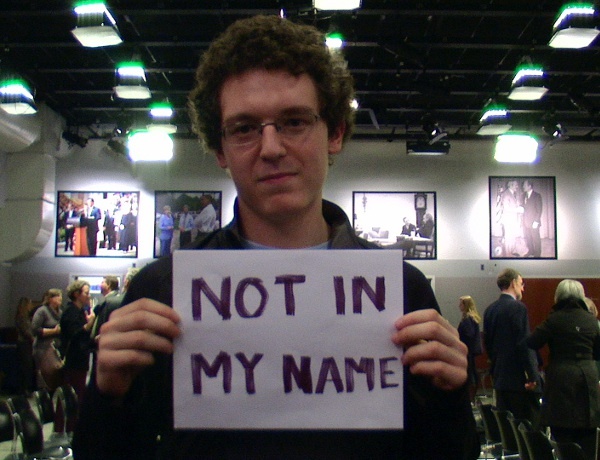 Griffin Sinclair-Wingate, 19, is a freshman at UNH and on the board of the Peace and Justice League. 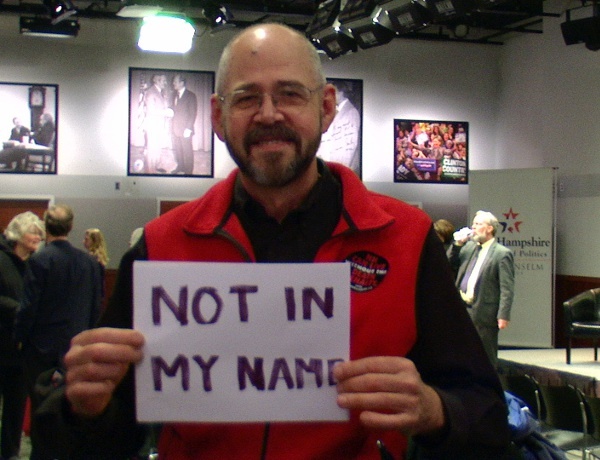 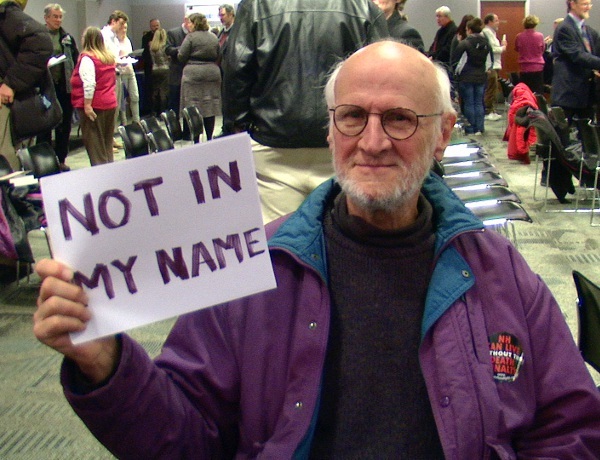 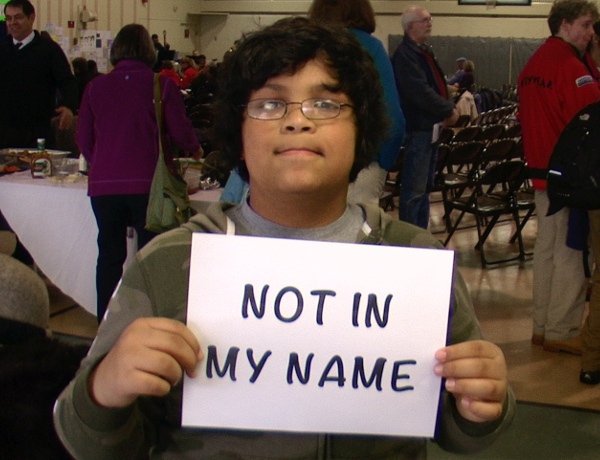 He said he is excited Governor Maggie Hassan has indicated she will sign the bill if it reaches her desk. 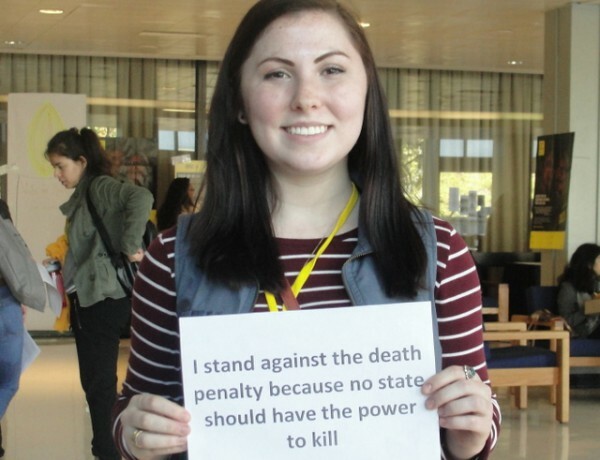 Emily Spognardi, 21, is a senior at UNH and an active supporter of Peace and Justice League events.She said it is “horrific” and “sickening” that people can legally be put to death in the state. 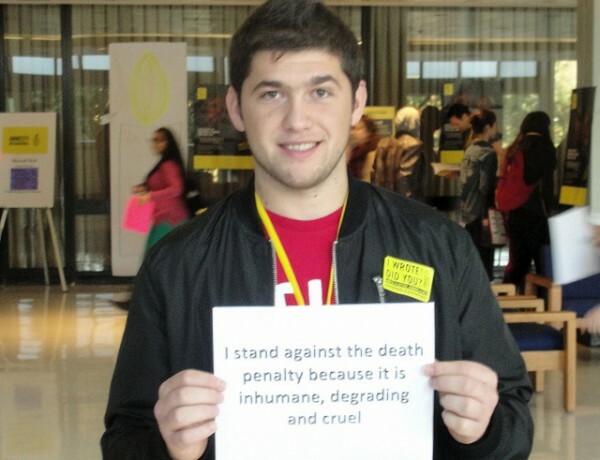 Steve Kelly, 19, a sophomore, said he is against the death penalty because of stories like Echol’s and the possibilities for wrongful conviction. 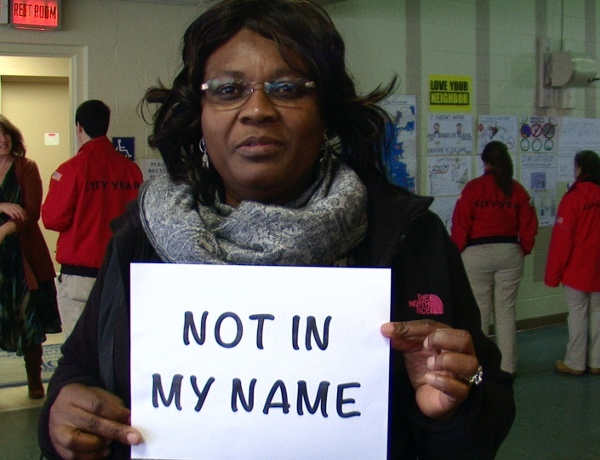 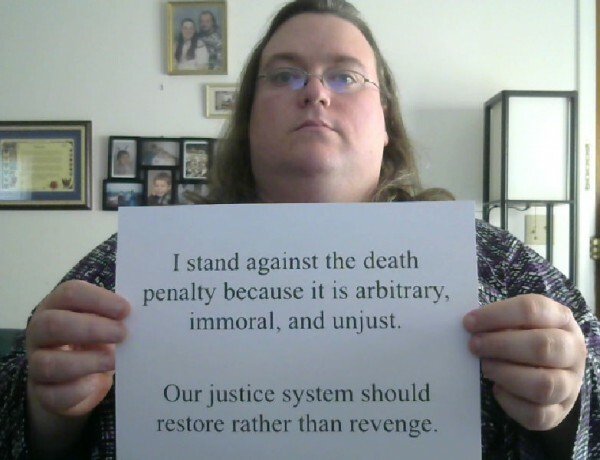 “It is just wrong the injustices we have in the justice system,” Kelly said. 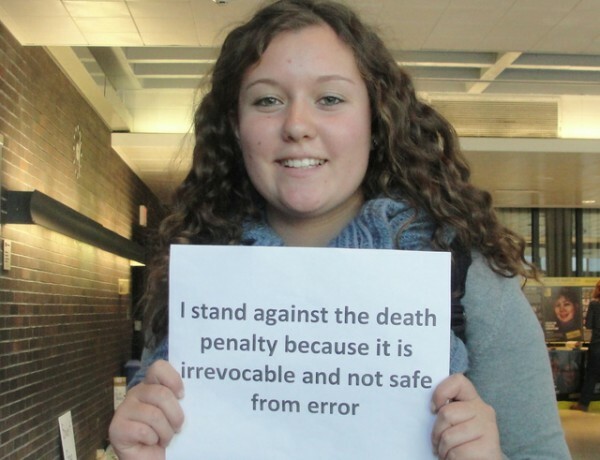 Molly Biron, 19, also a sophomore, said providing education on the issue is important for everyone, and although largely opposed to the death penalty, she does believe there are some circumstances where it is warranted, namely when it comes to acts of terrorism like the Boston Marathon bombings last April. 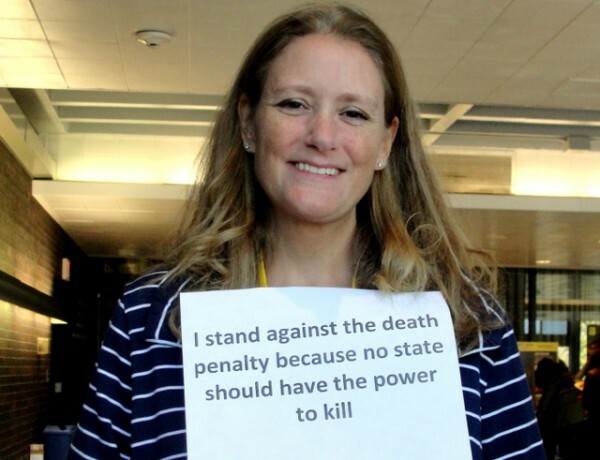 Cushing said this is the 180th year the legislature has debated whether to repeal the death penalty, but added that this is the first piece of legislation to get so many co-sponsors, so far a total of 117, and assurance from a governor that it will be signed. 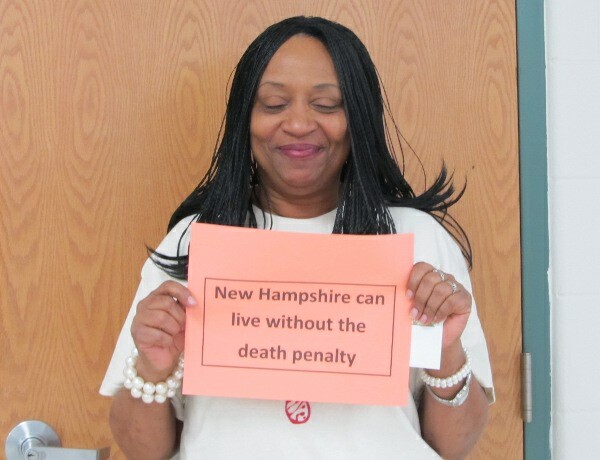 Hassan has indicated she would sign the repeal bill as long as it does not impact Michael Addison, the man convicted of capital murder in the shooting death of Manchester Police Officer Michael Briggs. 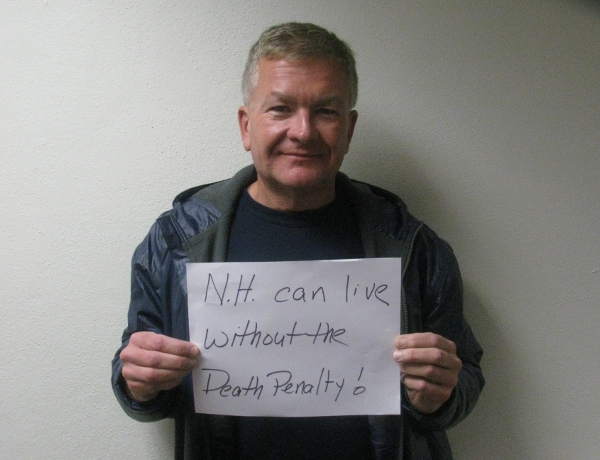 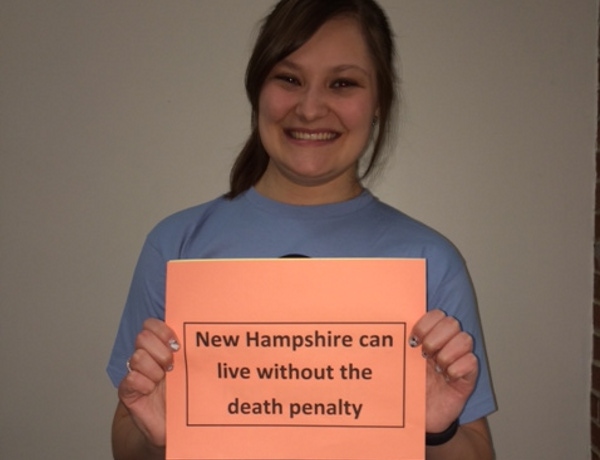 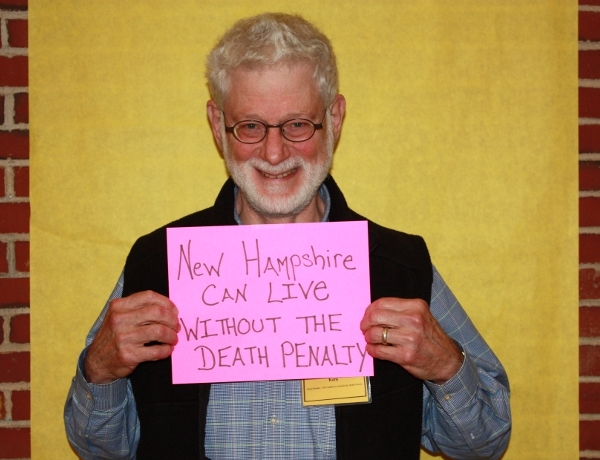 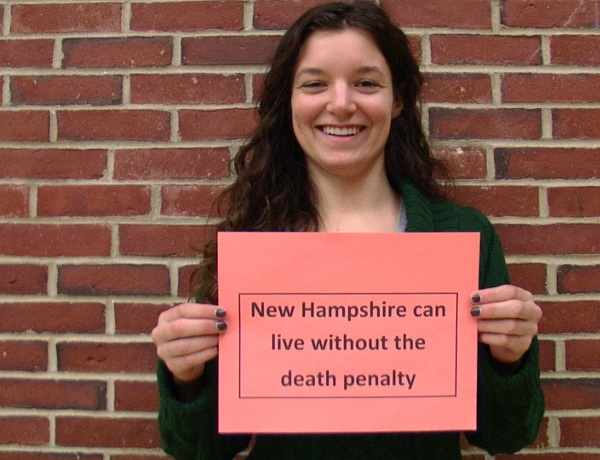 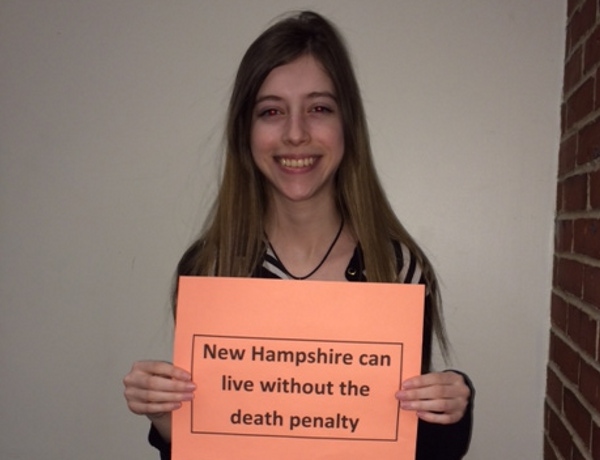 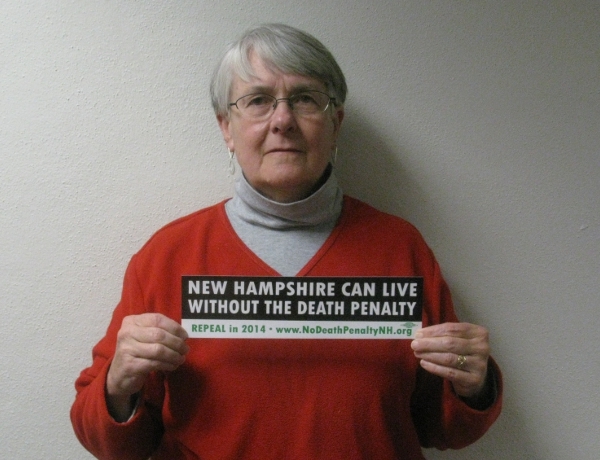 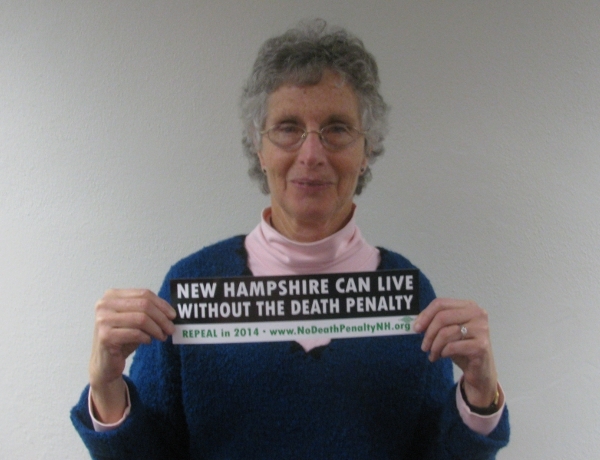 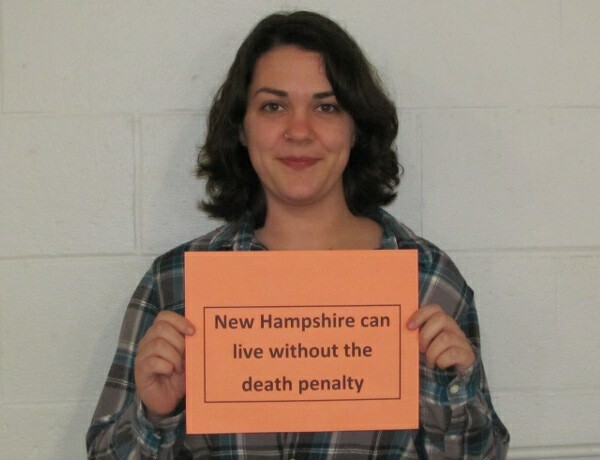 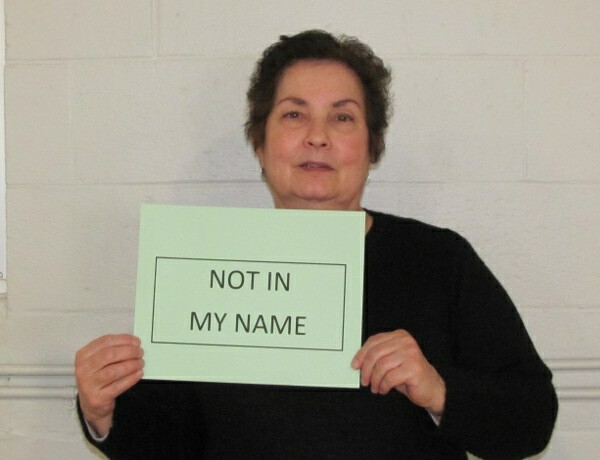 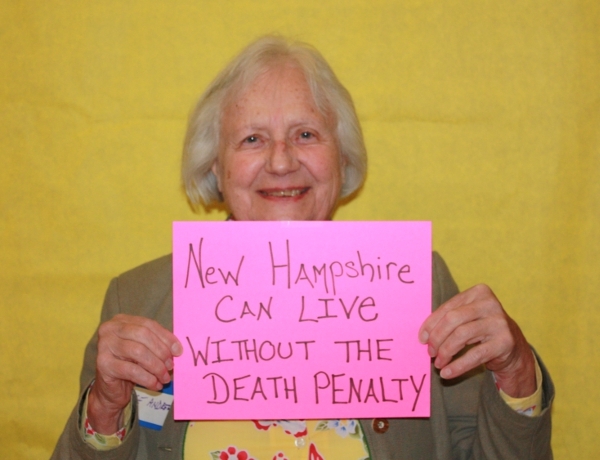 Addison is currently the only person on death row in New Hampshire. 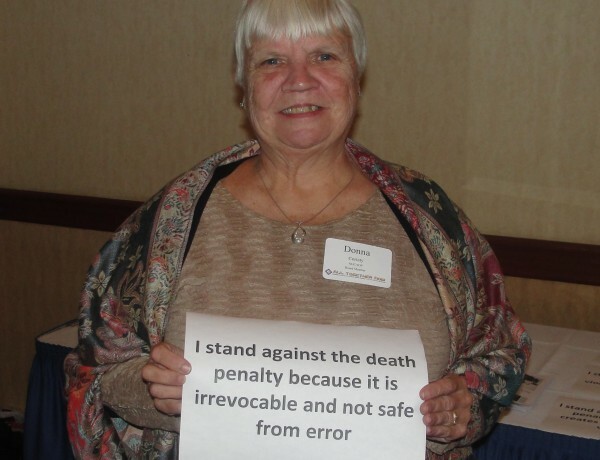 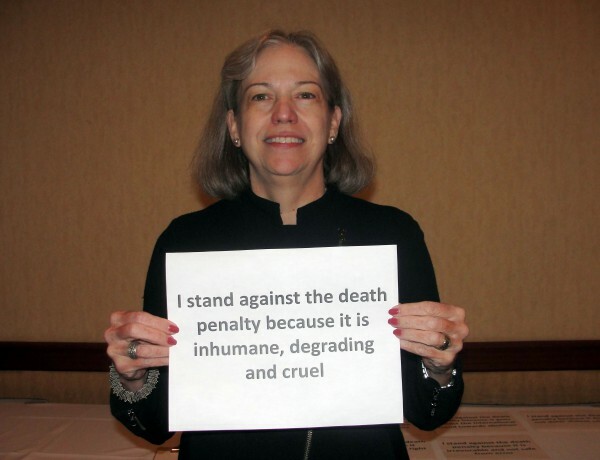 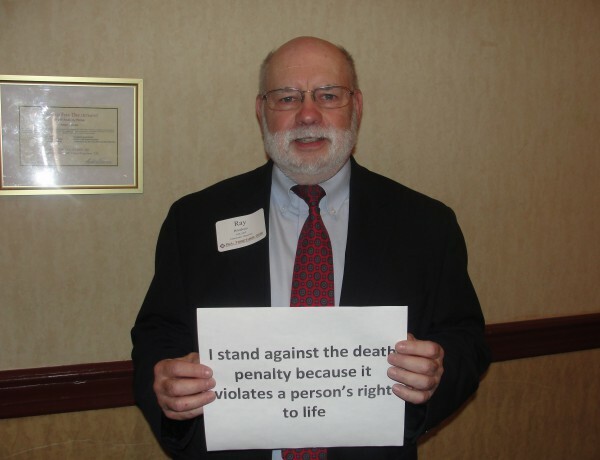 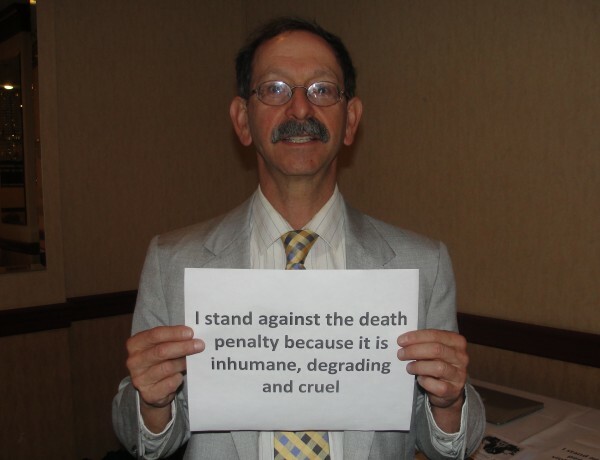 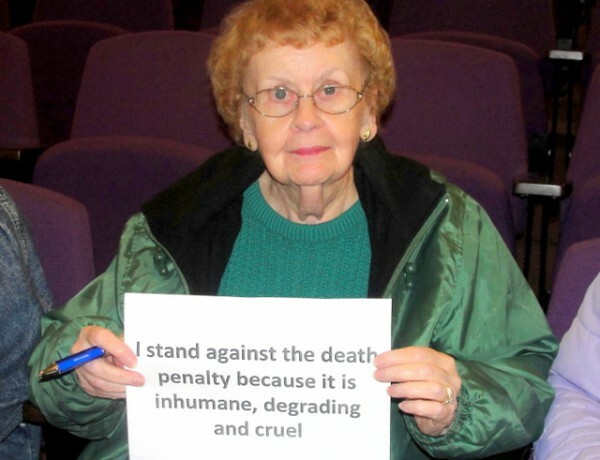 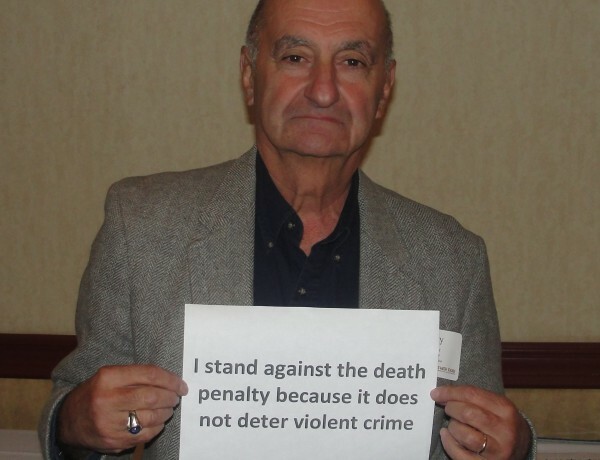 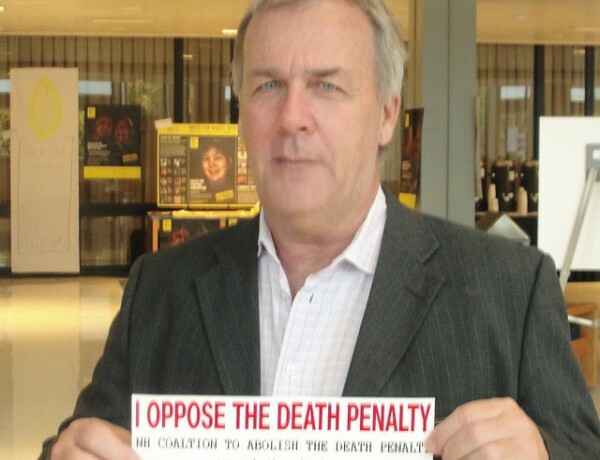 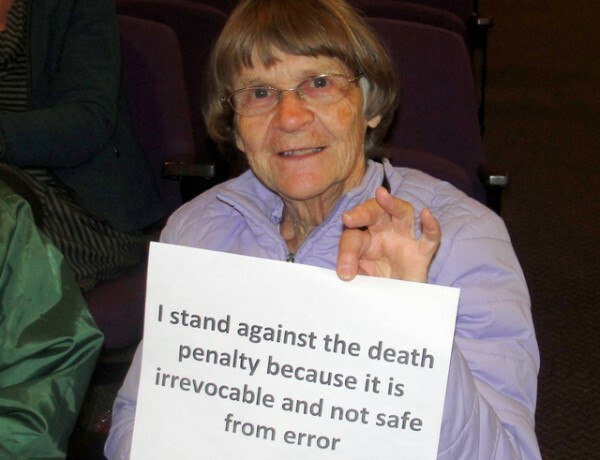 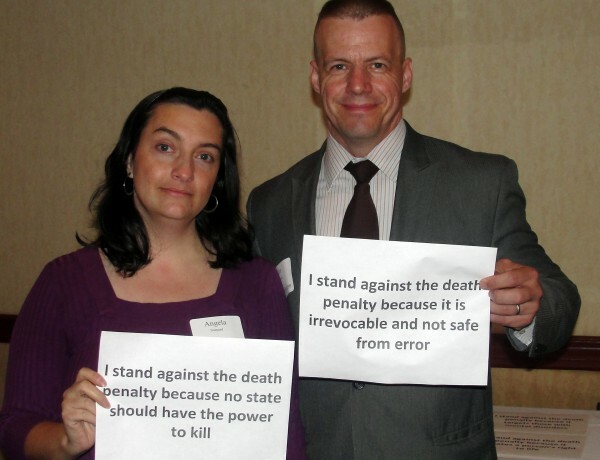 Cushing said the death penalty is bad public policy and has been most taken with the testimony of those who have changed their positions, like former attorney general Phil McLaughlin, who spoke in favor of the legislation at a recent public hearing. 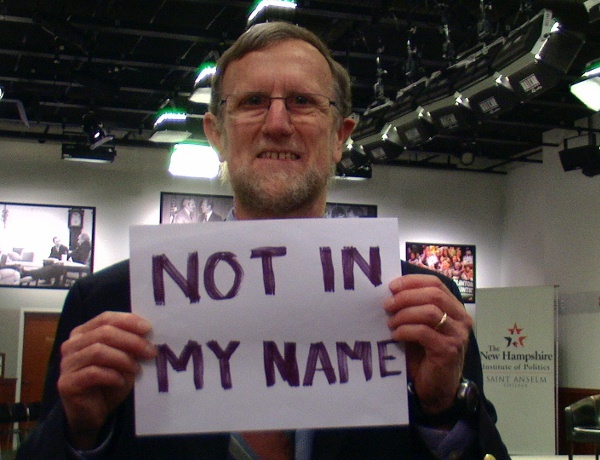 Cushing does not come at the issue from strictly an intellectual standpoint, but also from a personal one. 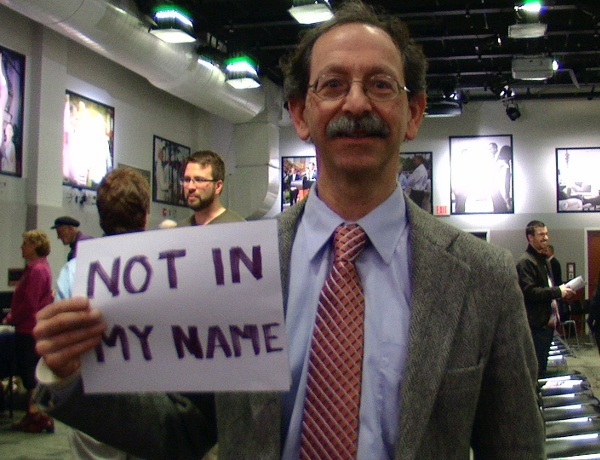 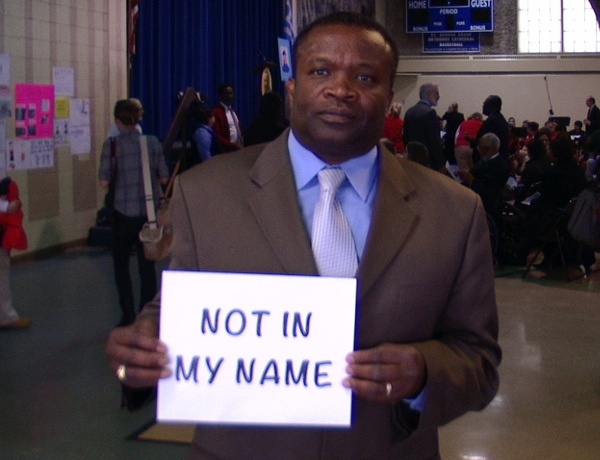 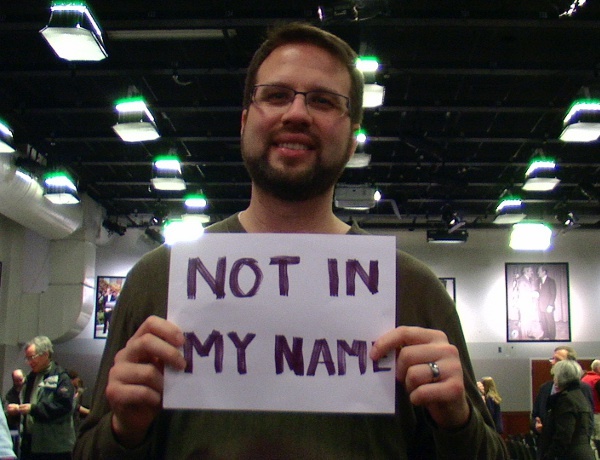 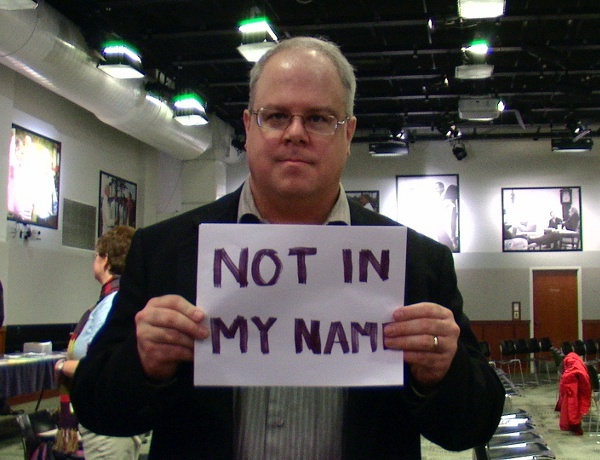 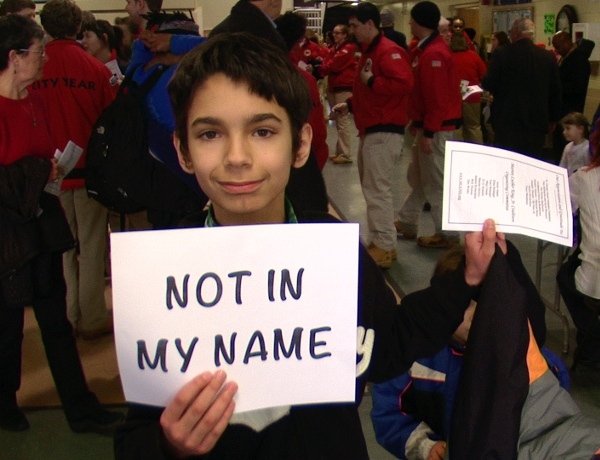 His father was gunned down in front of Cushing’s mother in their Hampton home about 25 years ago. 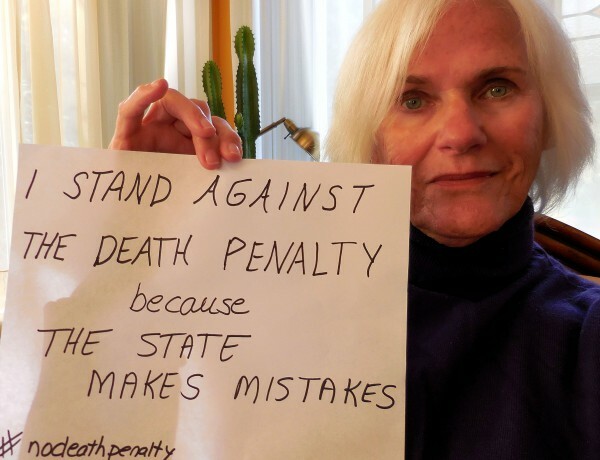 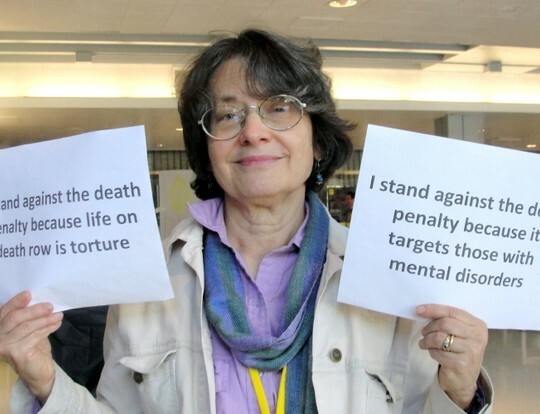 Cushing said the death penalty does not provide solace to families, because it can never accomplish the one thing they want, which is for their loved one to be alive. 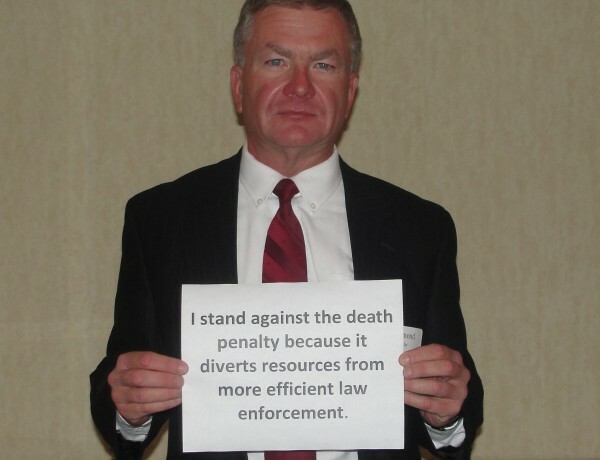 He said it is also a distraction from keeping communities and streets safer. 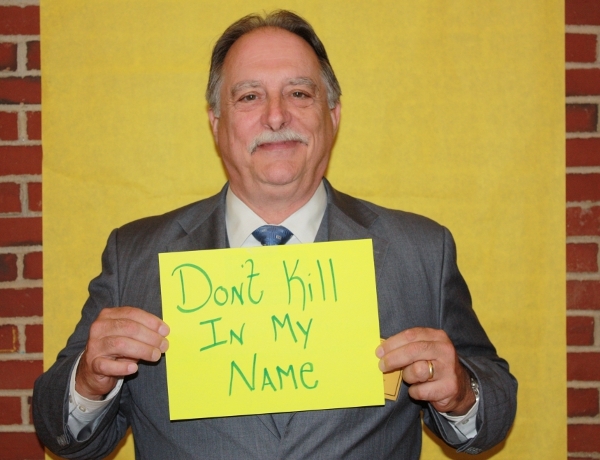 He said over $5 million has been spent prosecuting Addison, but up until last July no general fund dollars had been dedicated to deal with the state’s 120 unsolved homicides. 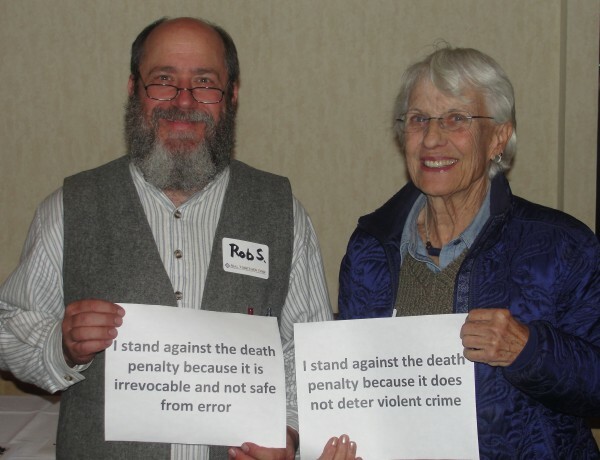 Echols and his wife of about 15 years, Lorri Davis, told the story of his arrest and imprisonment, of the brutal prison conditions, beatings, isolation and frustration at the injustices in the criminal justice system. 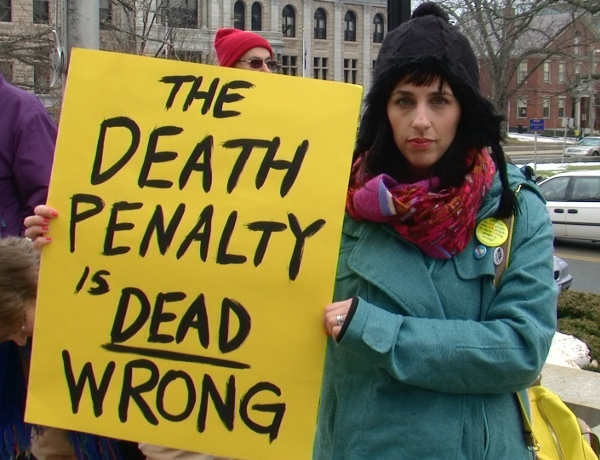 They talked of the failures on the parts of police and prosecutors to introduce all of the evidence or to admit when they were wrong. 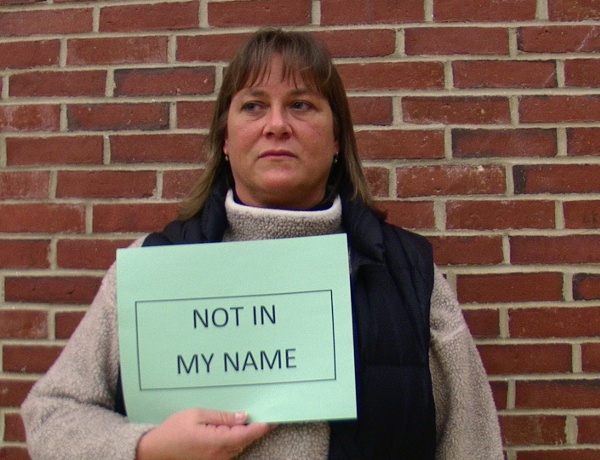 Davis said she felt compelled to help Echols after seeing an HBO documentary about his case made in 1996. 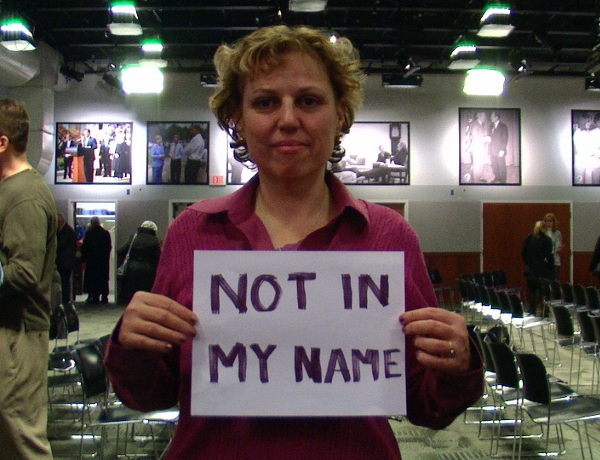 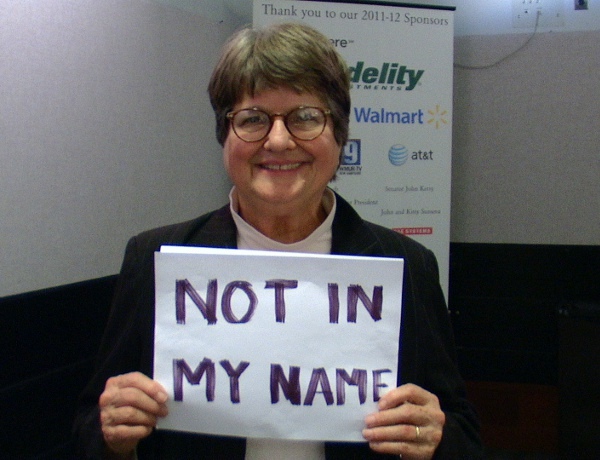 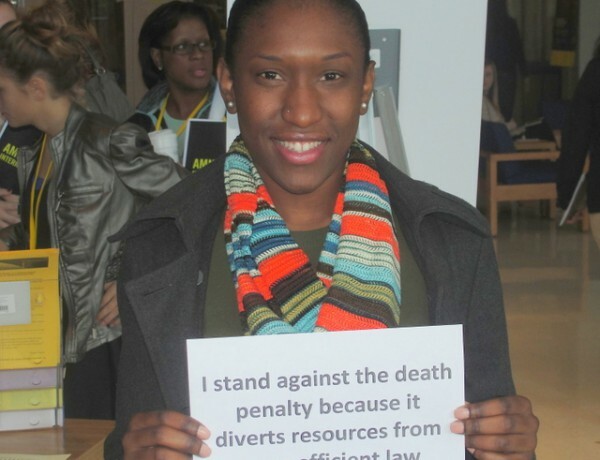 Two years later she moved from New York City to Arkansas and started raising awareness and funds to appeal the conviction. 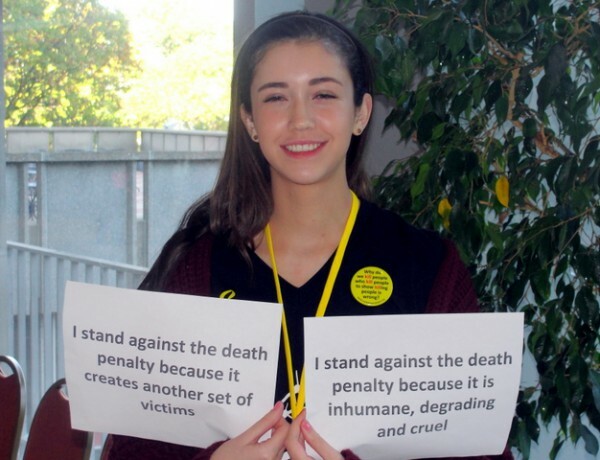 They ended up gaining the support of some big names, including actor Johnny Depp, musician Eddie Vedder of Pearl Jam and famed filmmakers Peter Jackson and Fran Walsh. 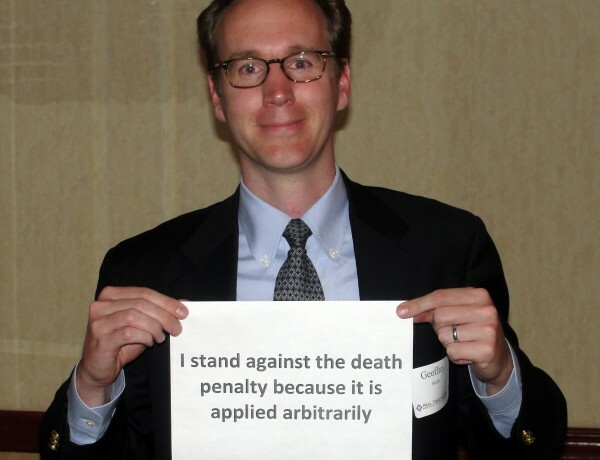 In the end, Echols had a team of about 14 lawyers on the case, in addition to investigators and forensic science experts and the Arkansas Supreme Court ruled that a new trial should be held, leading to the plea agreement which precludes Echols from ever seeking compensation from the state for his wrongful conviction. 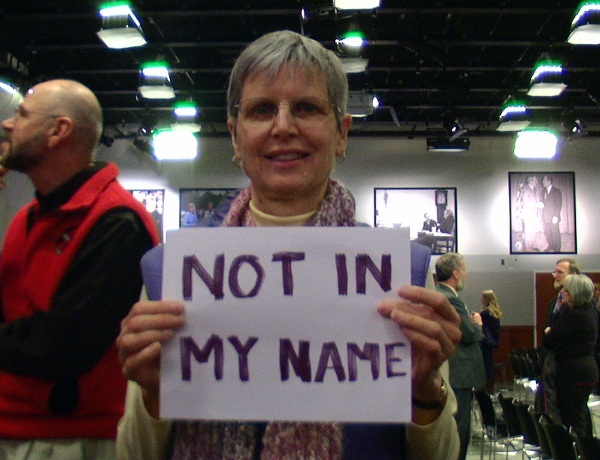 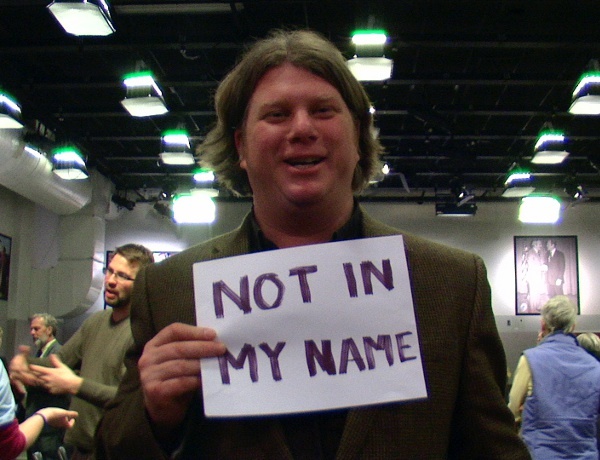 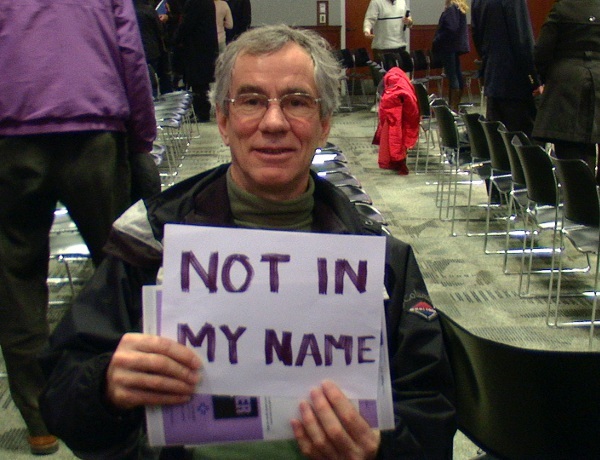 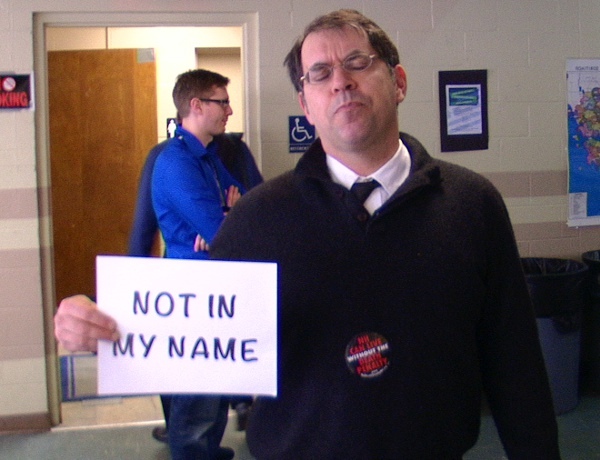 Hundreds of students were turned away at the door of the event because of capacity concerns, and when Echols began speaking, in a voice influenced by years of practicing meditation and Buddhism, the room fell into absolute silence. 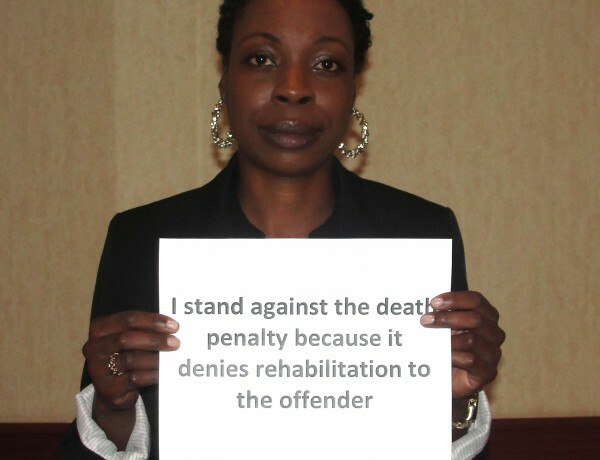 Echols said he saw nothing like rehabilitation or education in prison. 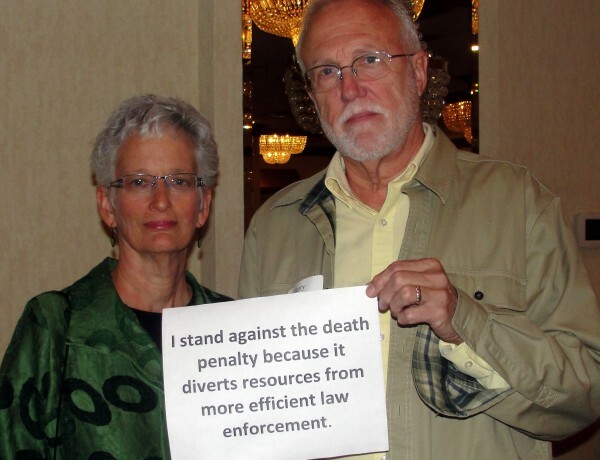 He said the percentage of inmates serving life sentences or on death row across the country is nominal compared to the amount of prisoners that will be returned to communities. 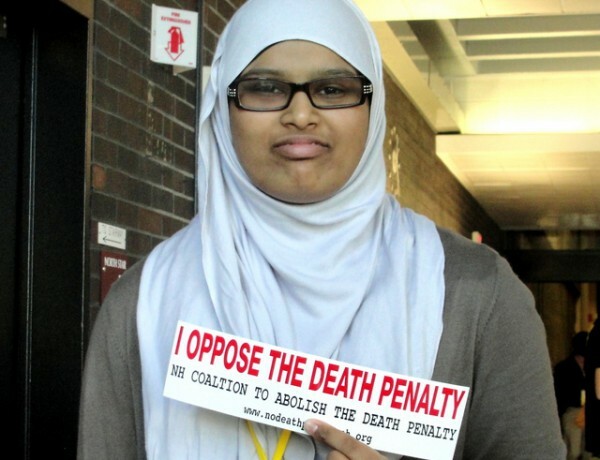 “We have to get rid of this us versus them mentality. 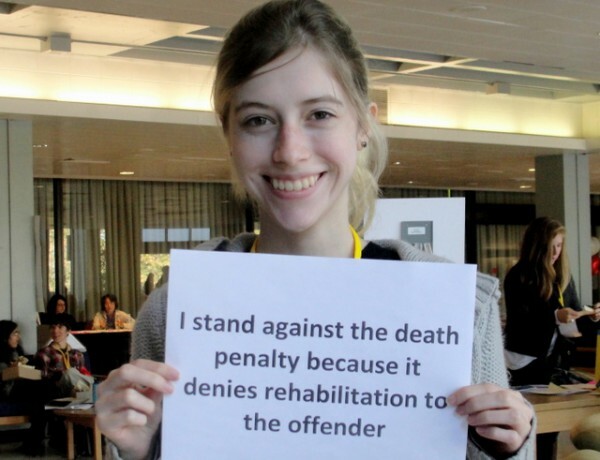 Most of the people in prison are going to be part of the world again. 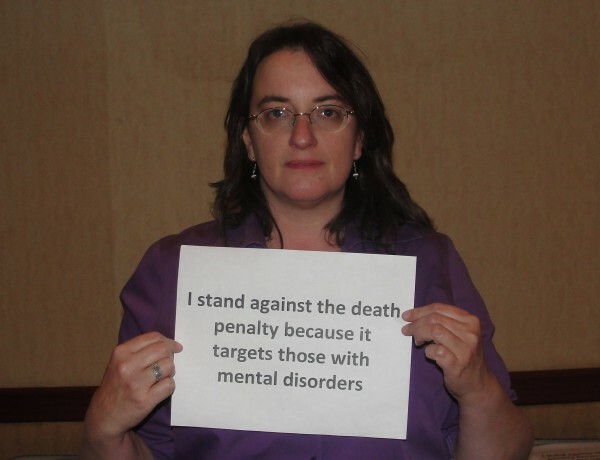 It would make sense to do real rehabilitation instead of turning them into stark raving lunatics,” Echols said. 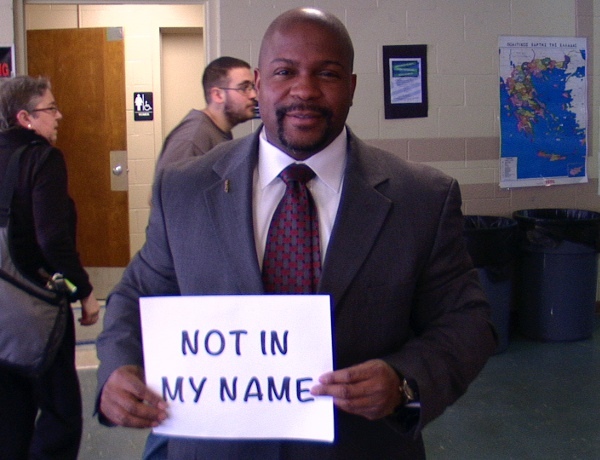 Echols said he completely lost faith in the justice system early on, but he never lost faith in people and shares his story in the hope of empowering others to create change. 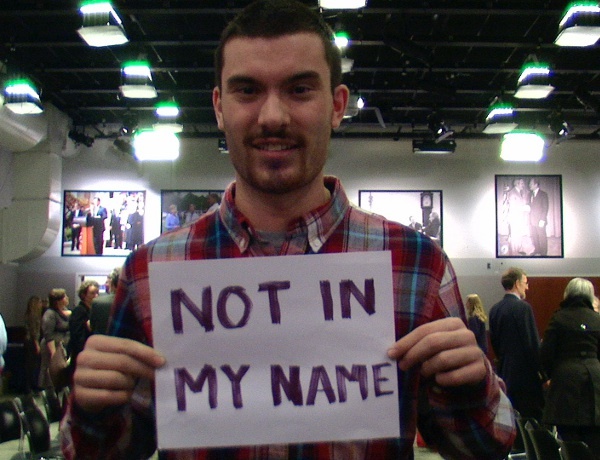 Eric Jacobs, 27, of Portsmouth said he came to hear Echols speak after years of following his story. 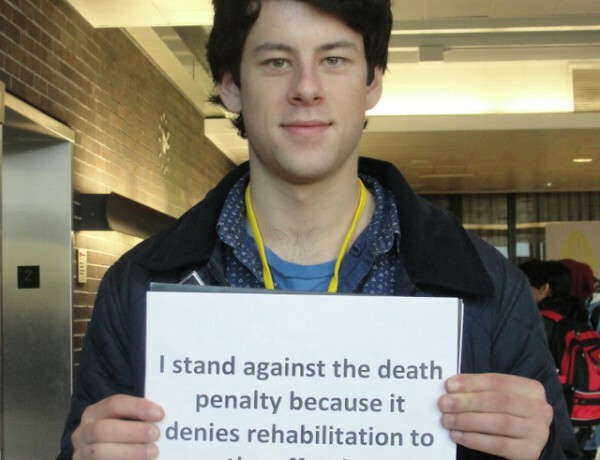 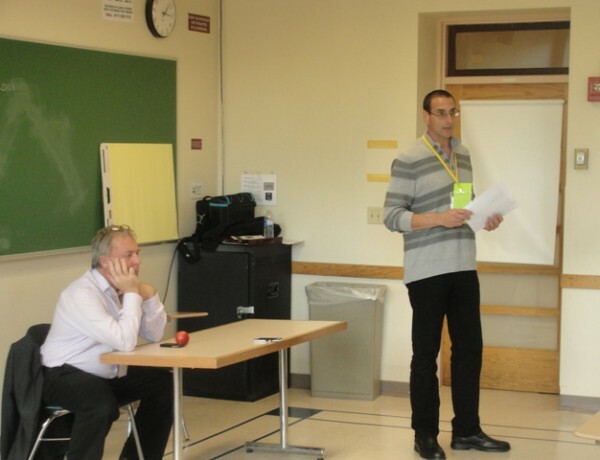 He said his brother has been in and out of jails, and Jacobs has seen that prisons serve no rehabilitative role, but he is not sure what can be done to change it. 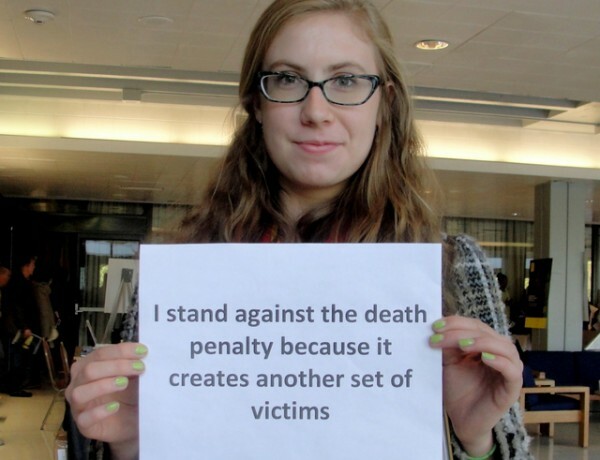 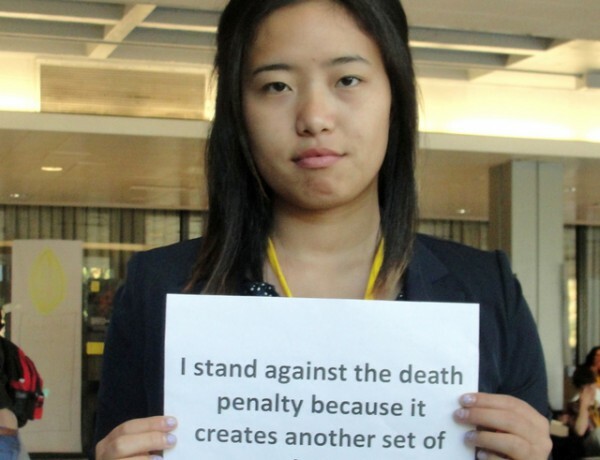 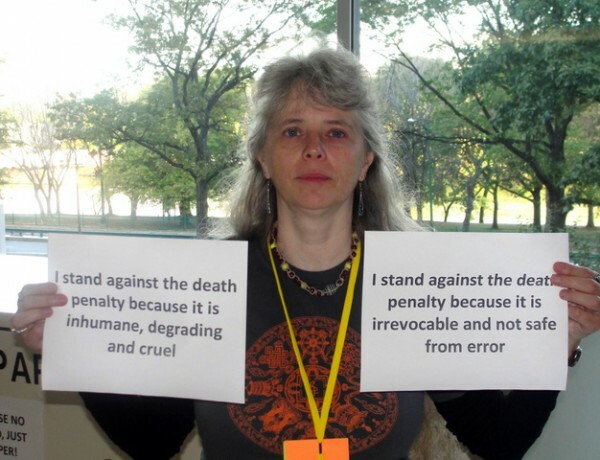 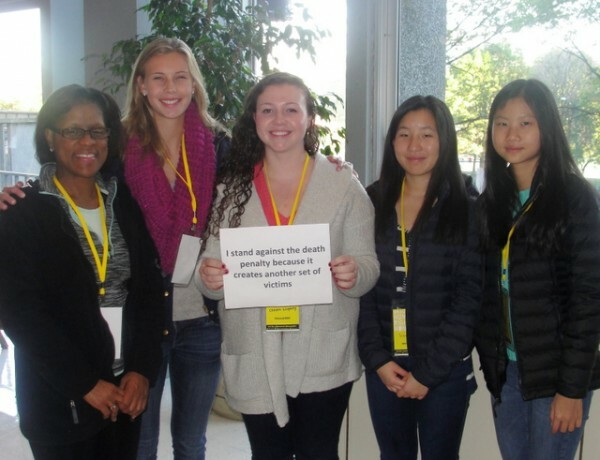 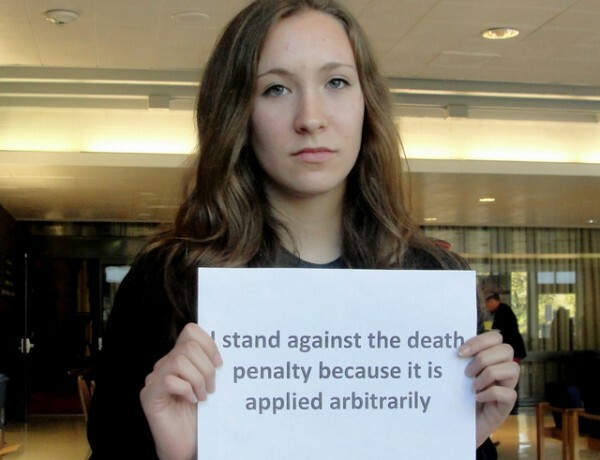 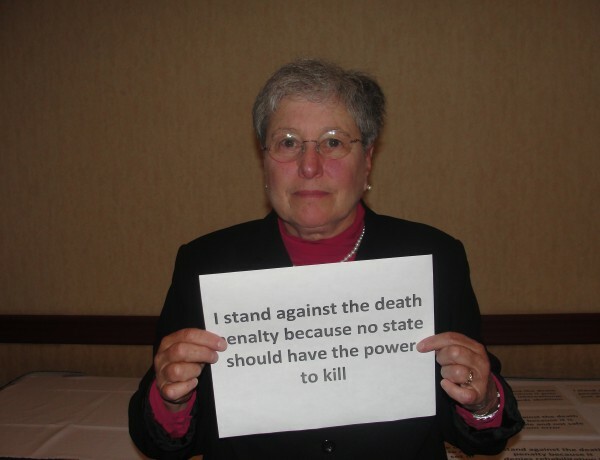 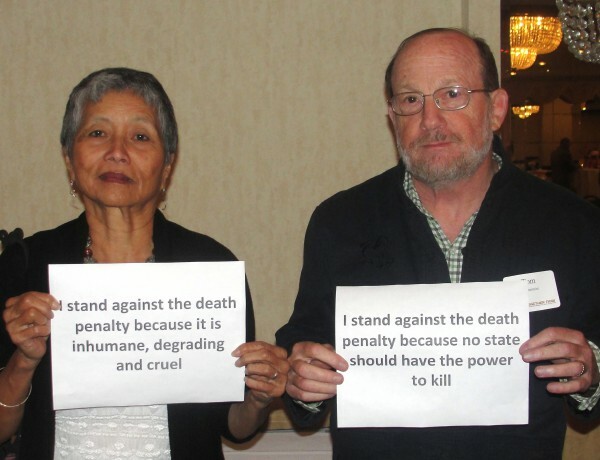 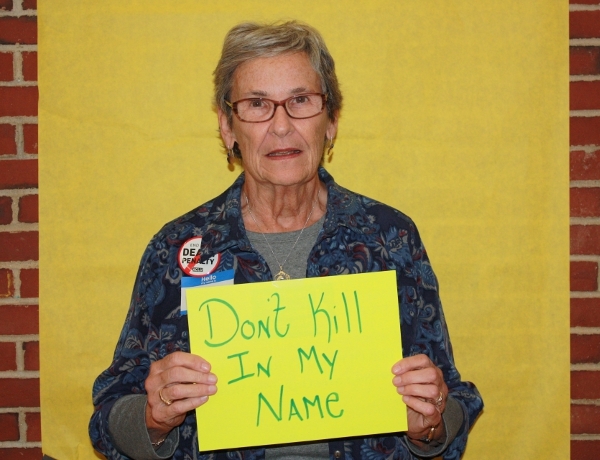 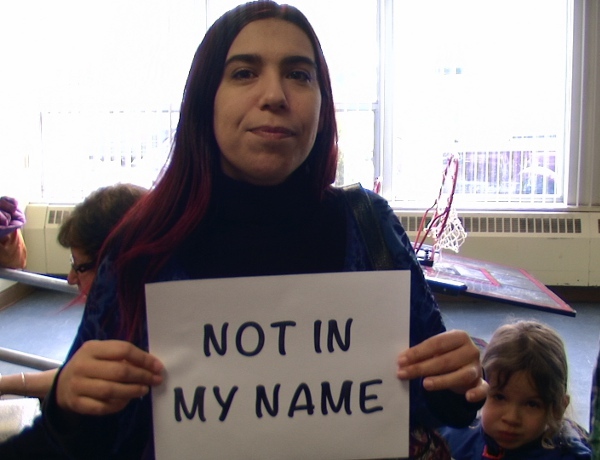 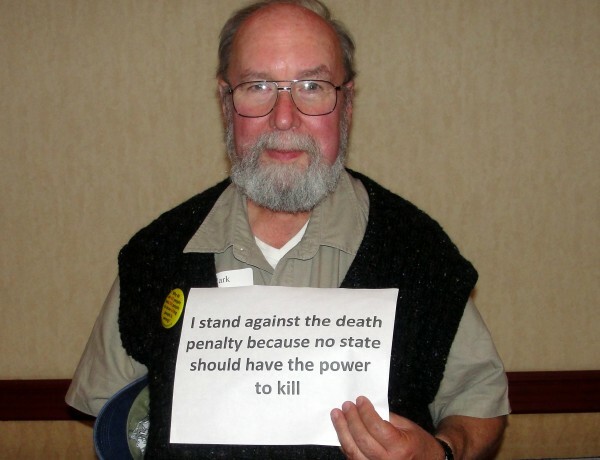 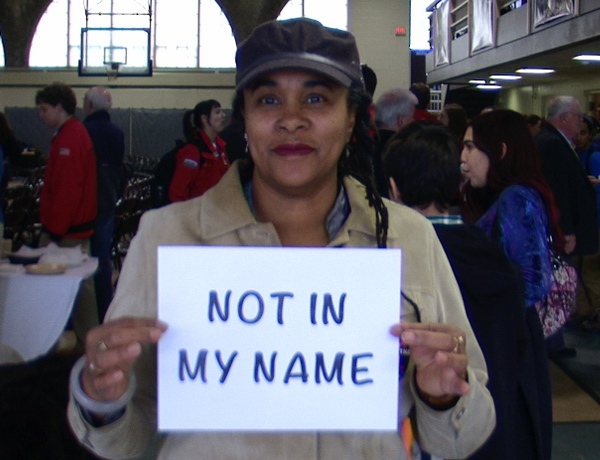 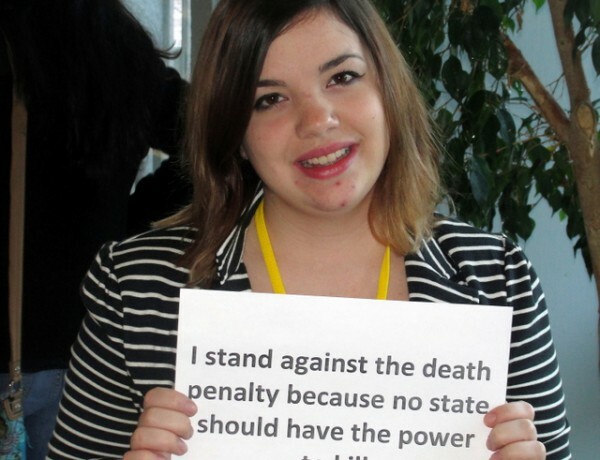 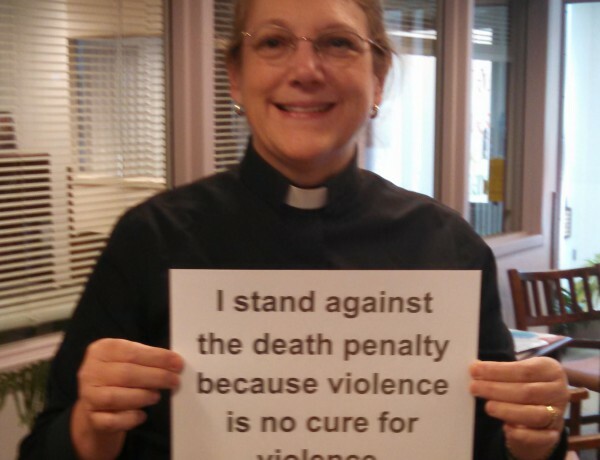 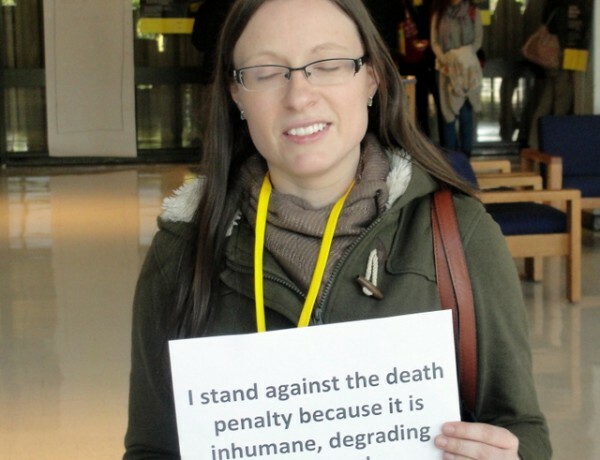 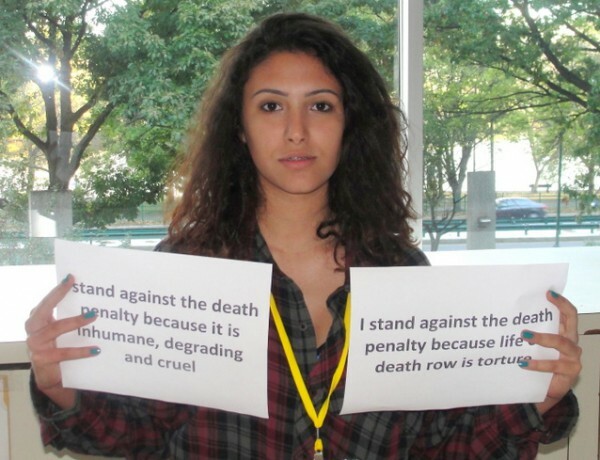 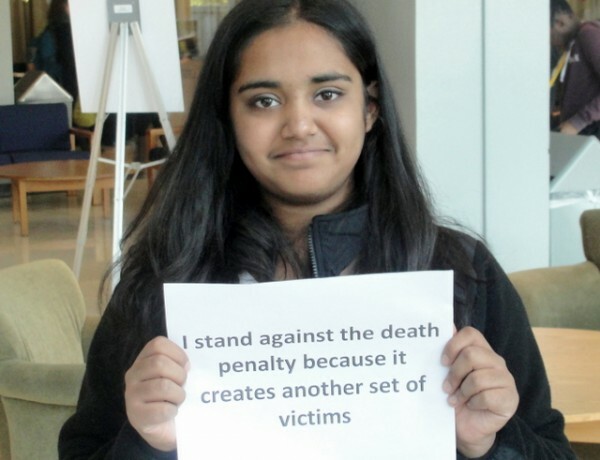 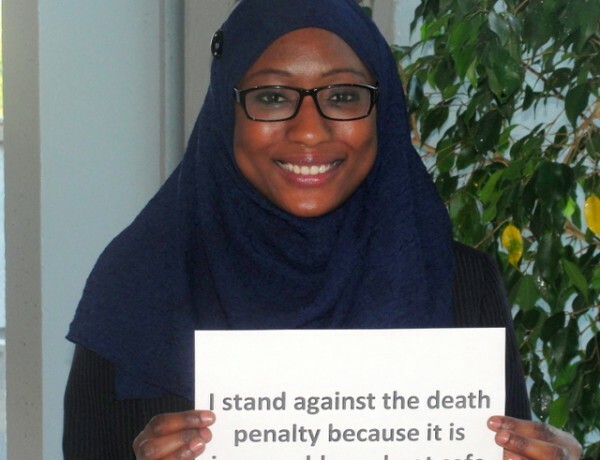 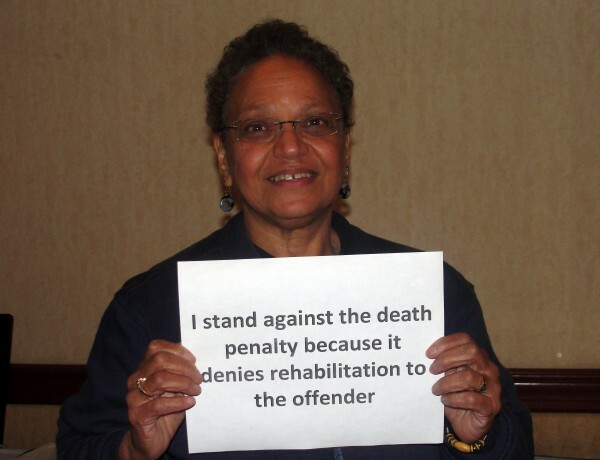 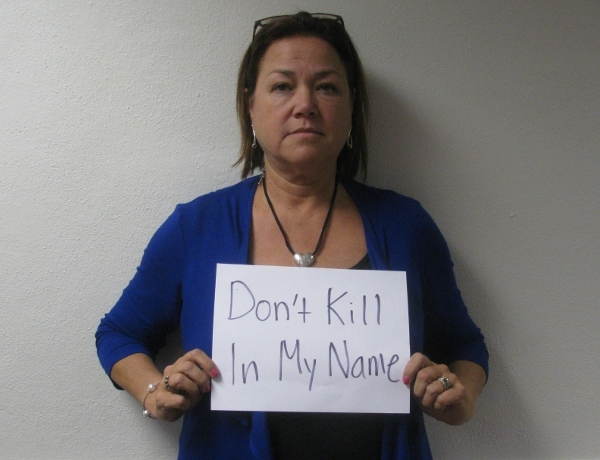 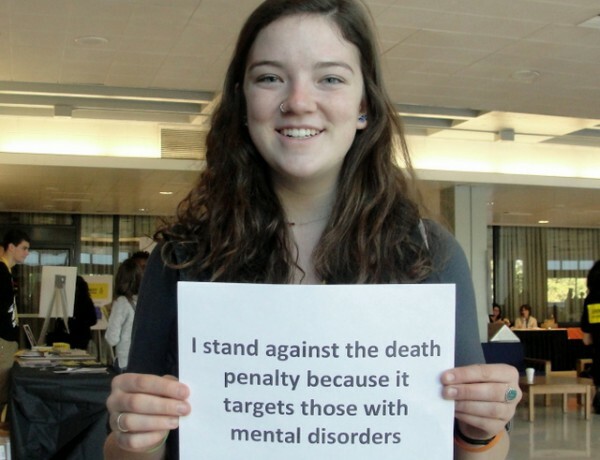 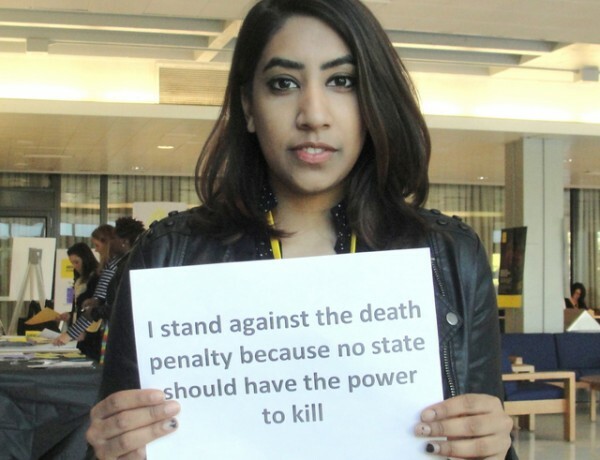 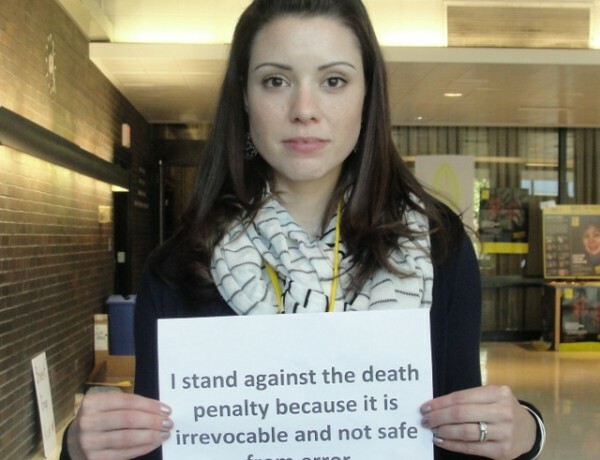 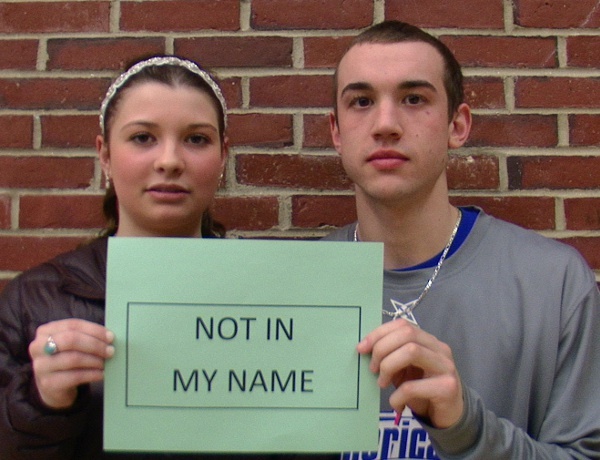 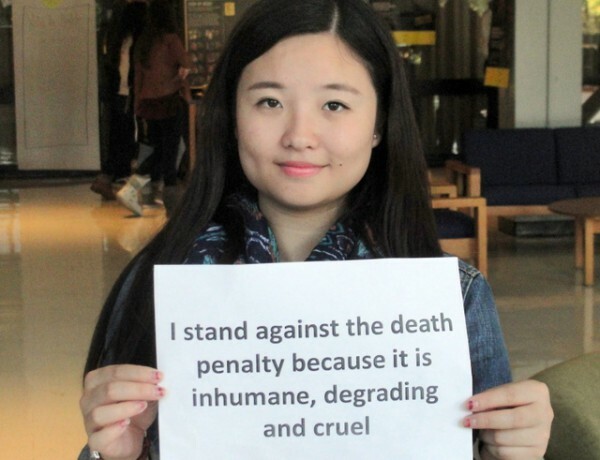 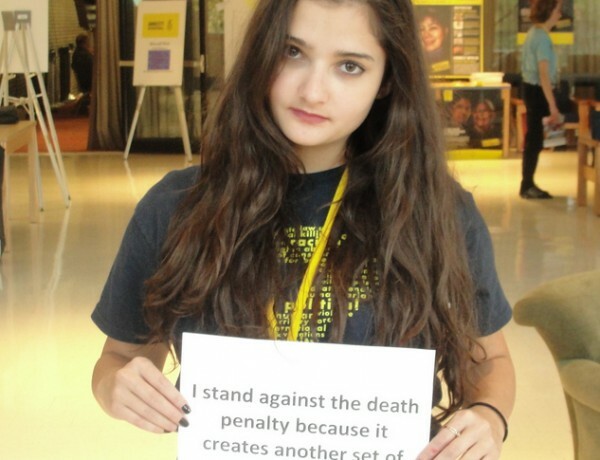 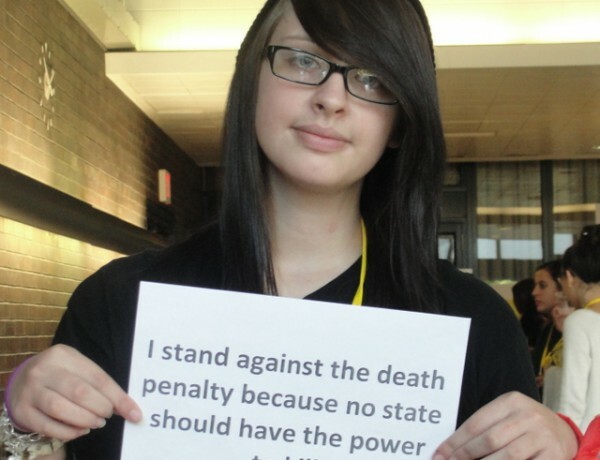 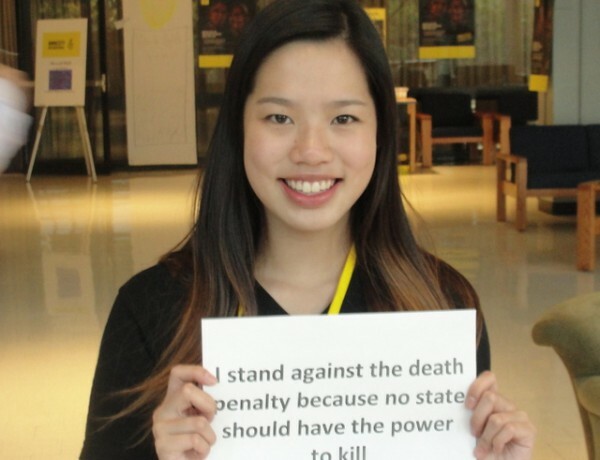 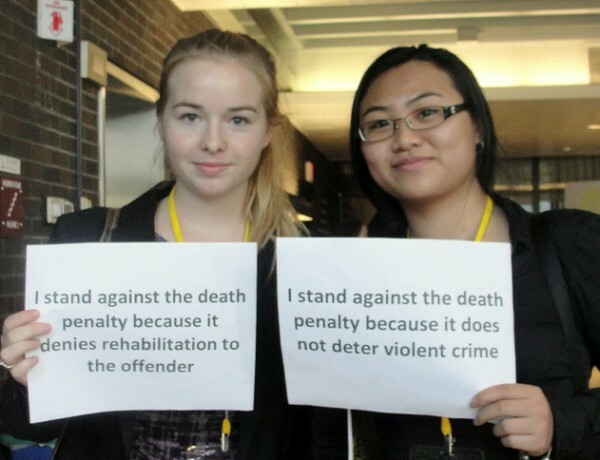 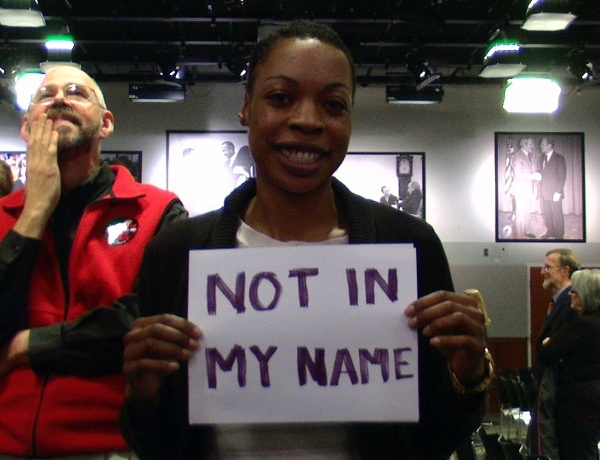 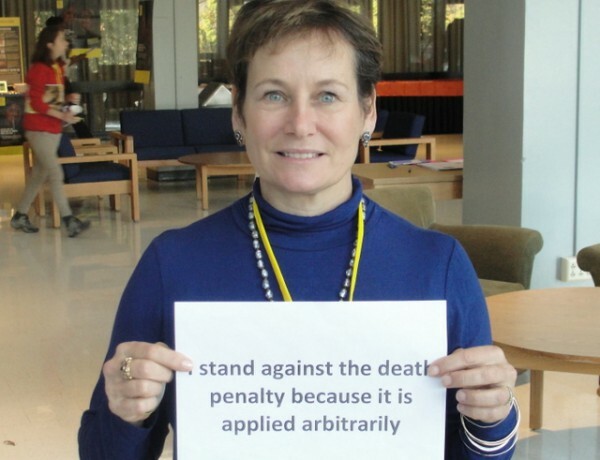 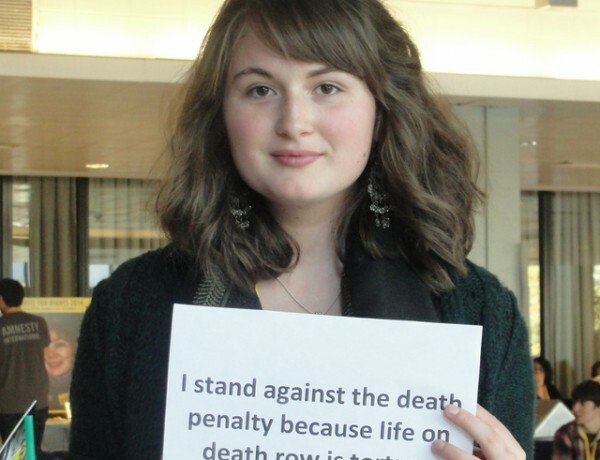 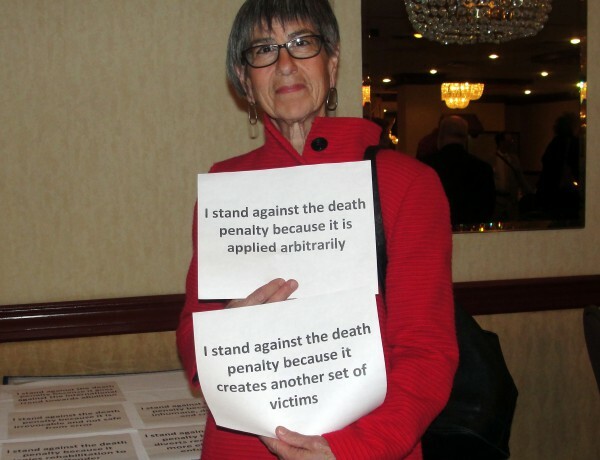 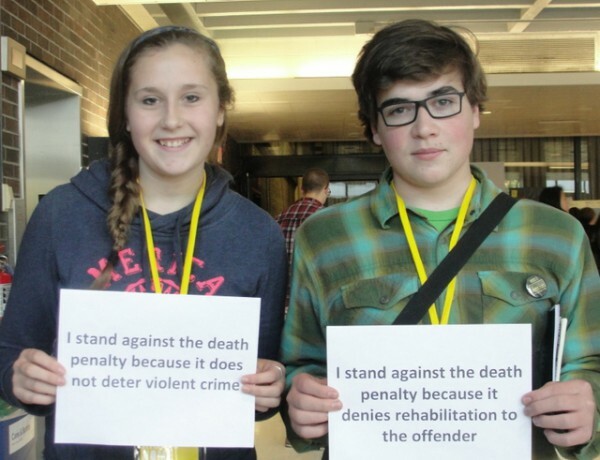 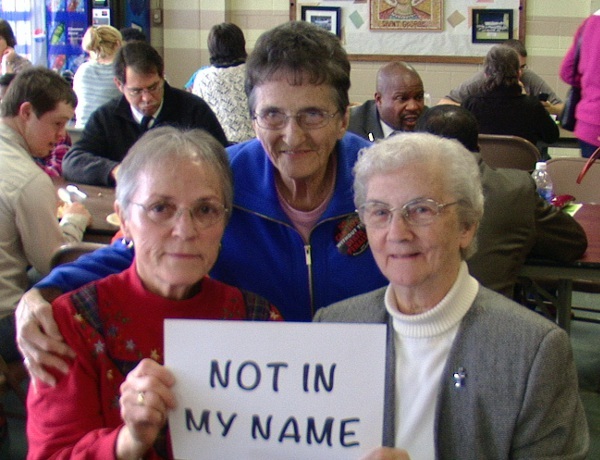 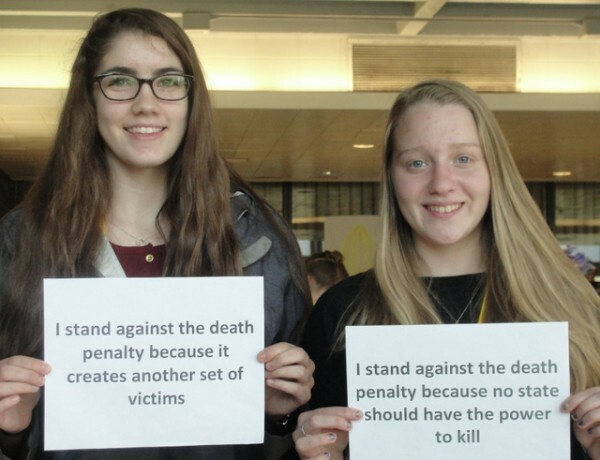 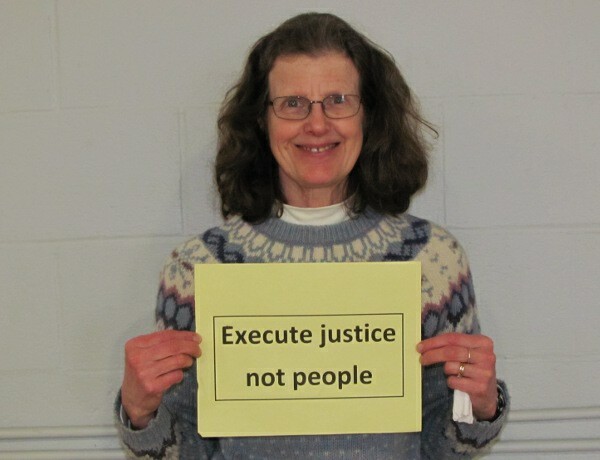 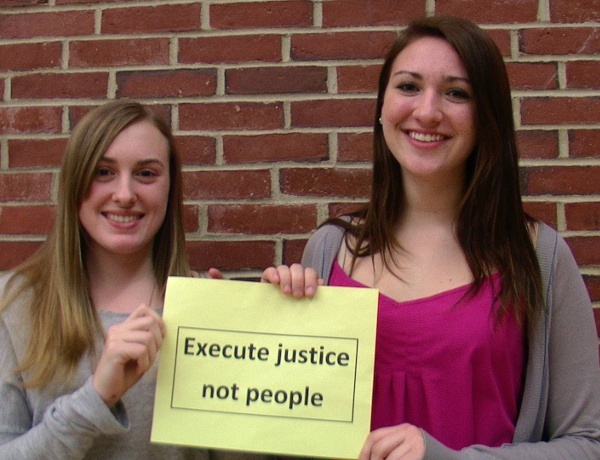 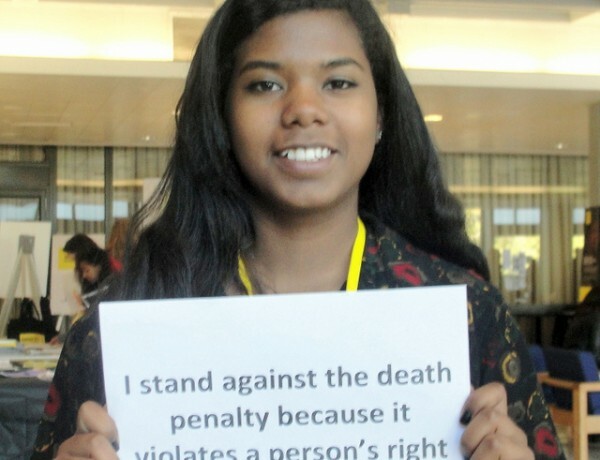 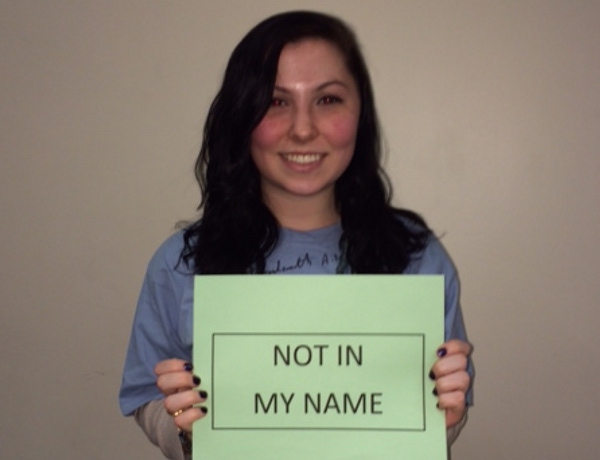 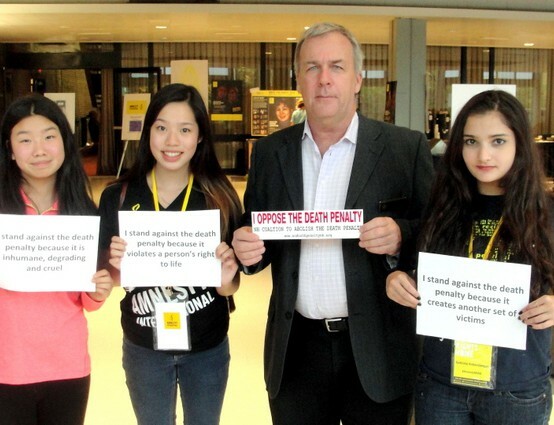 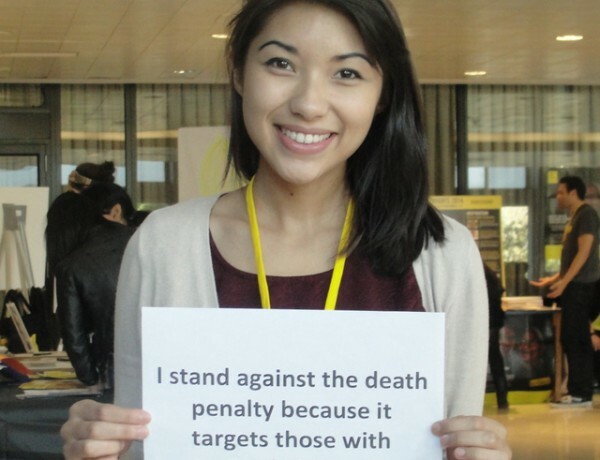 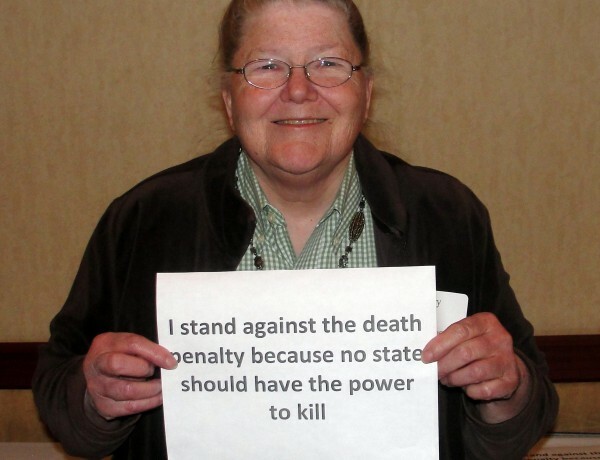 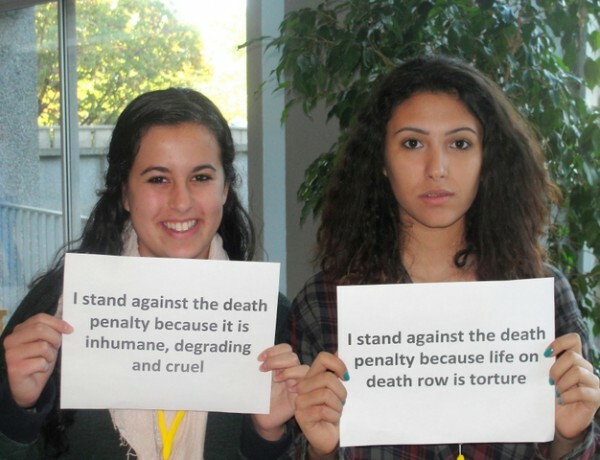 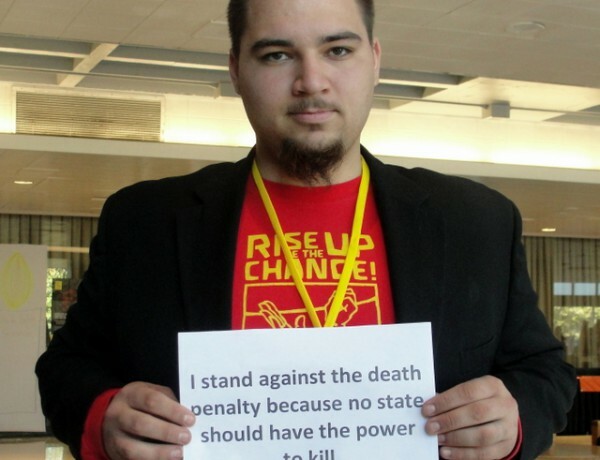 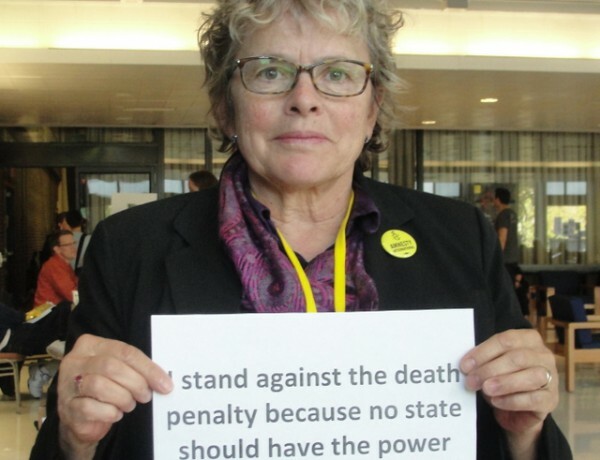 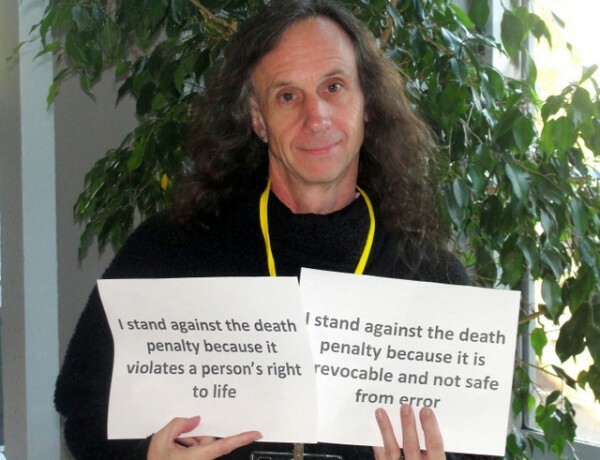 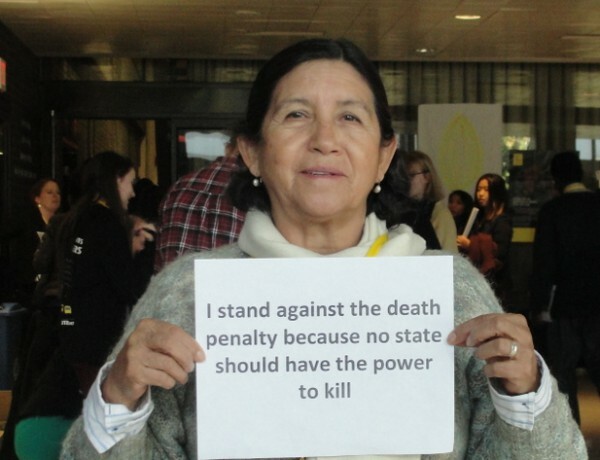 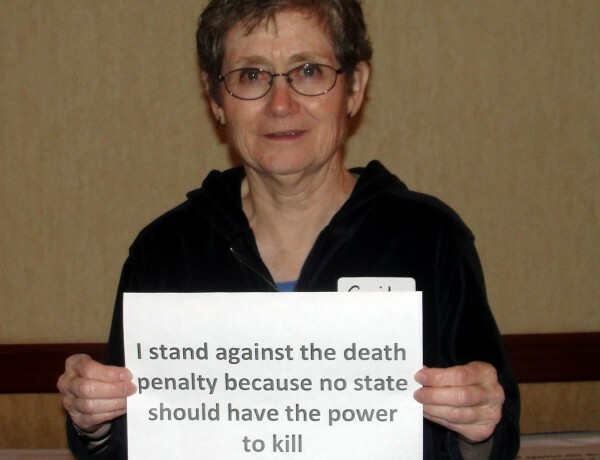 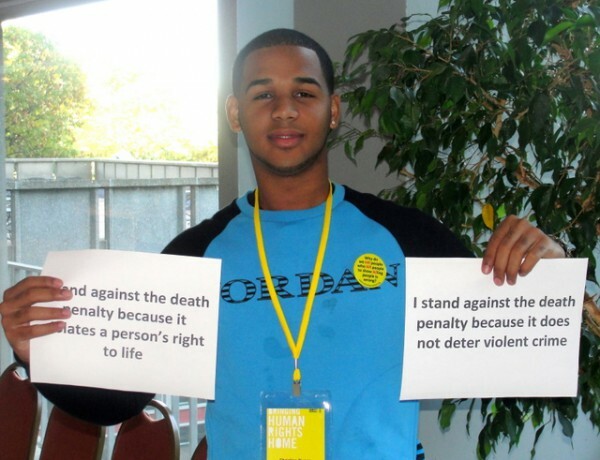 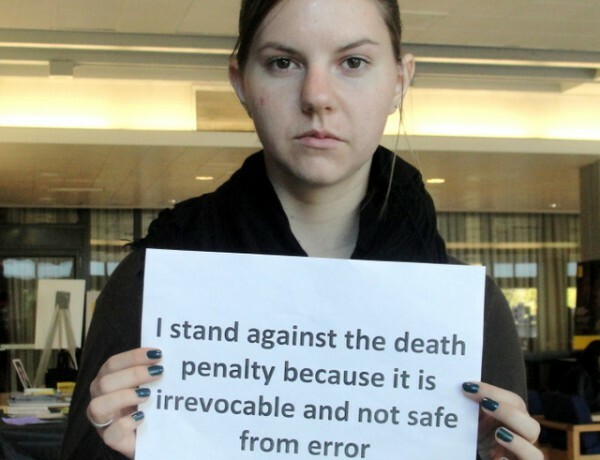 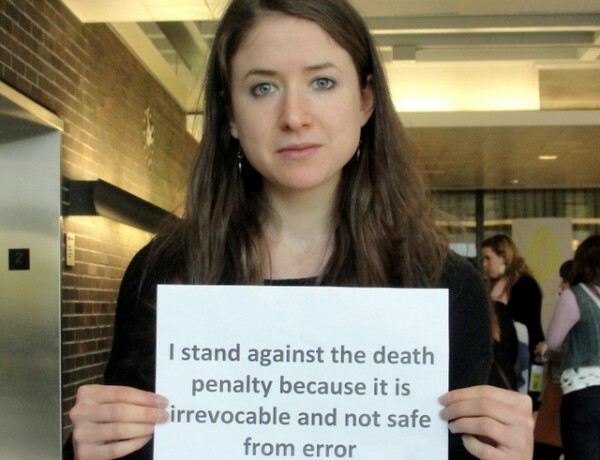 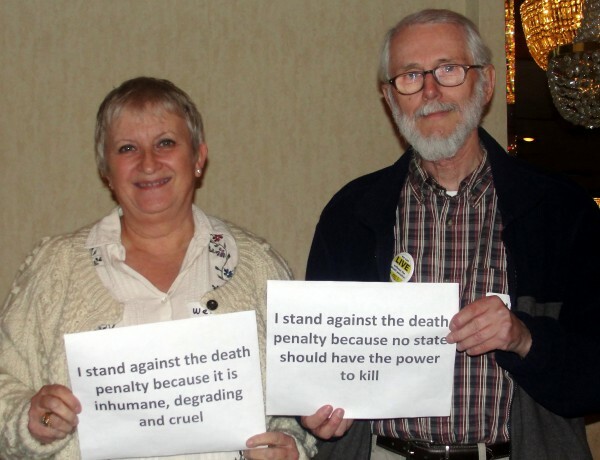 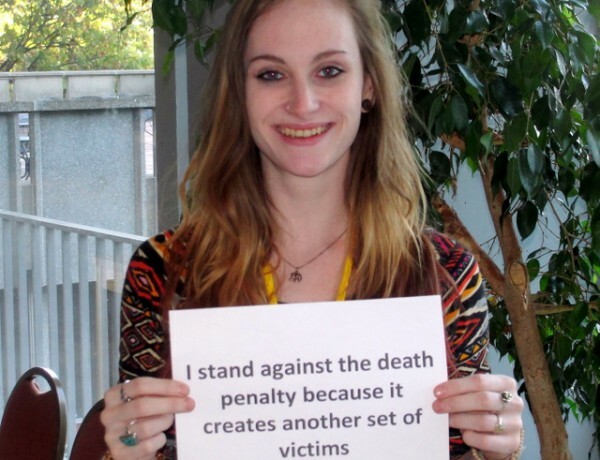 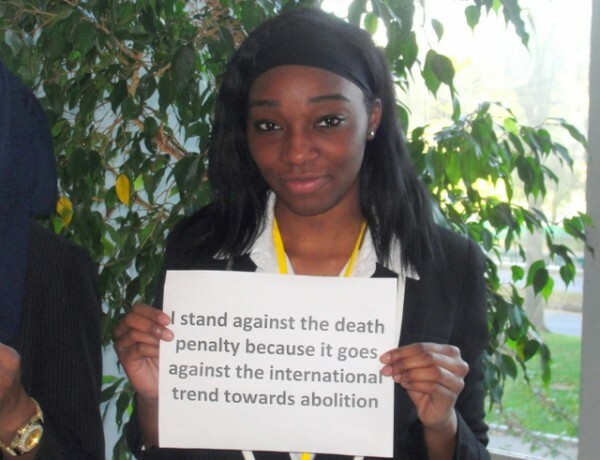 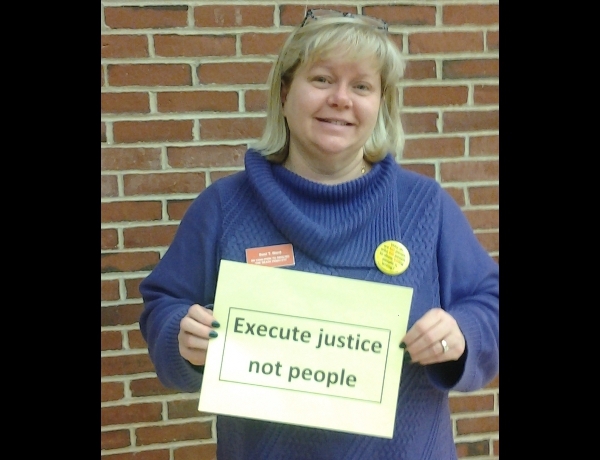 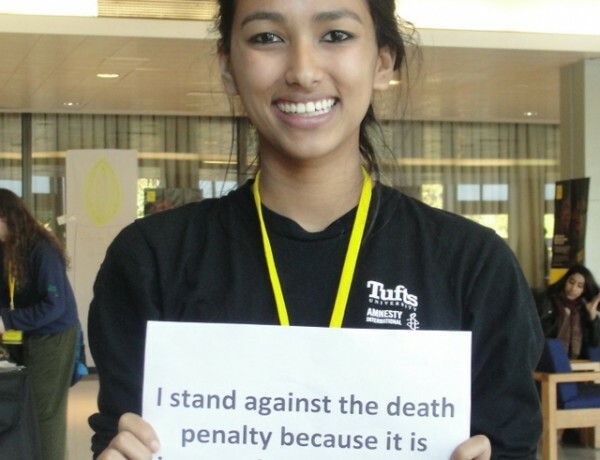 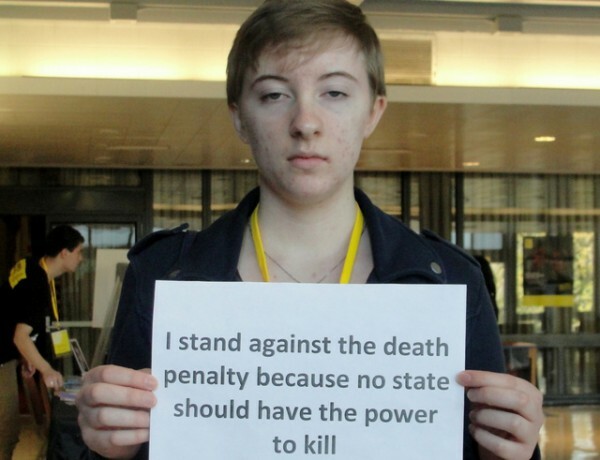 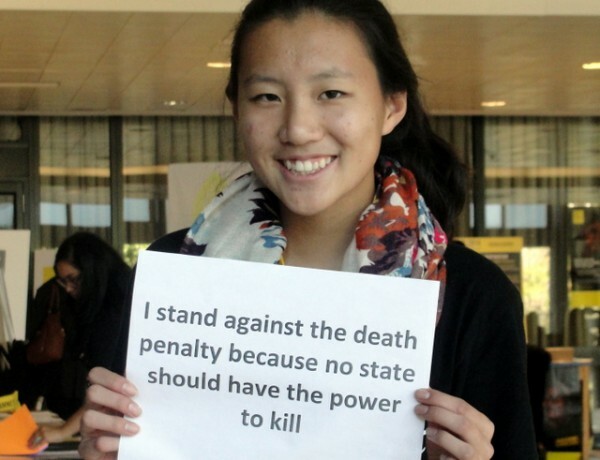 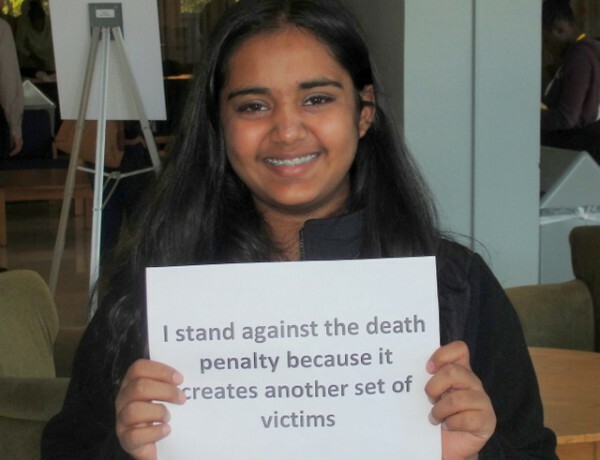 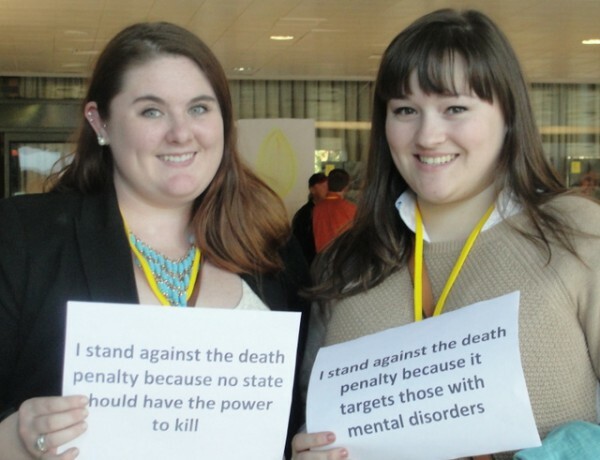 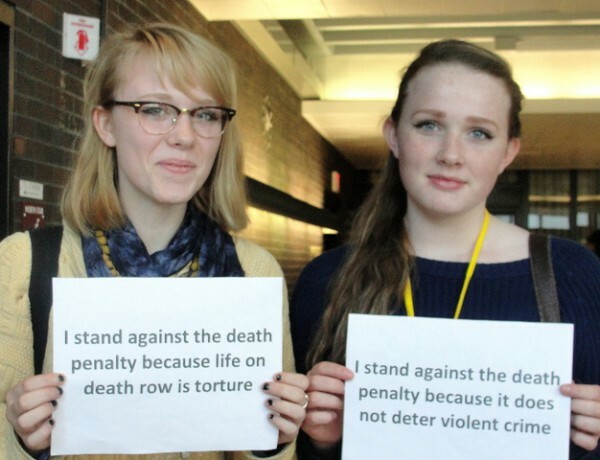 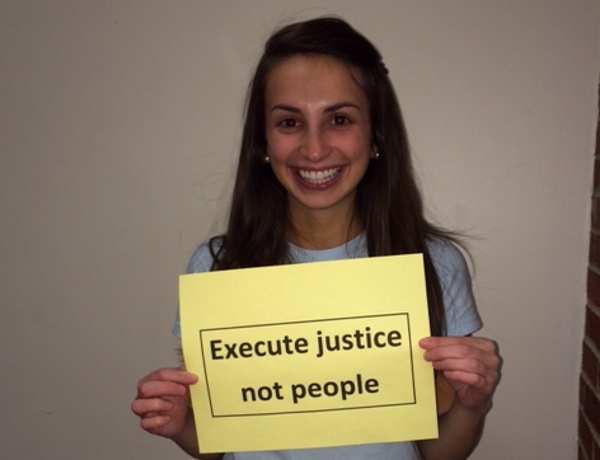 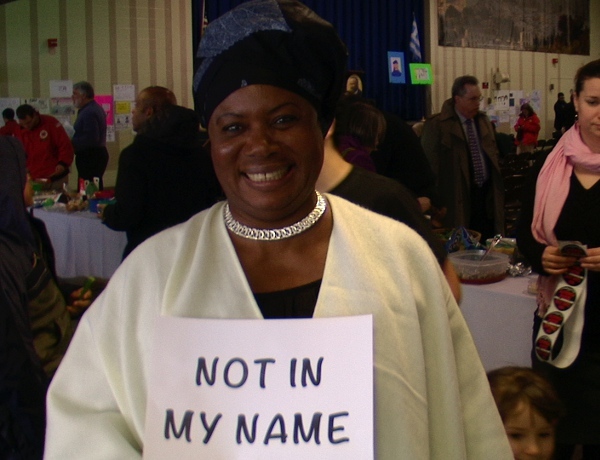 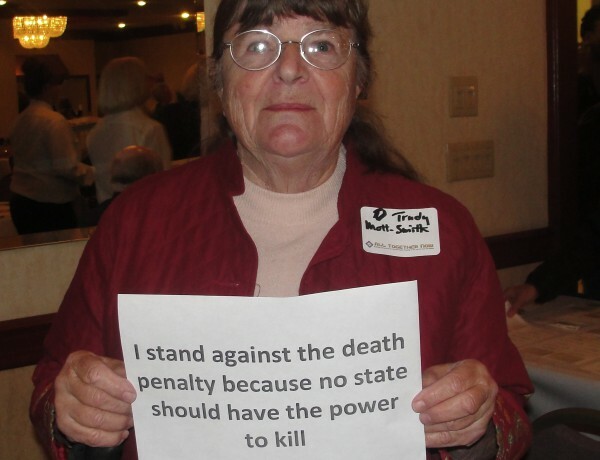 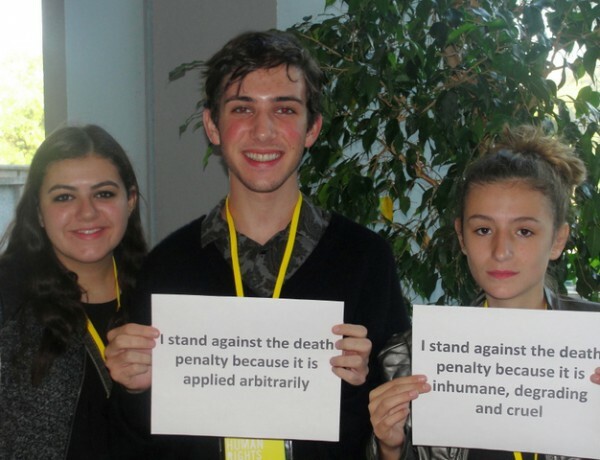 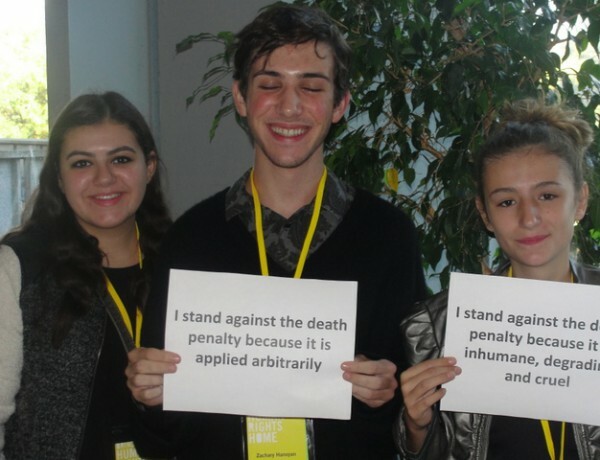 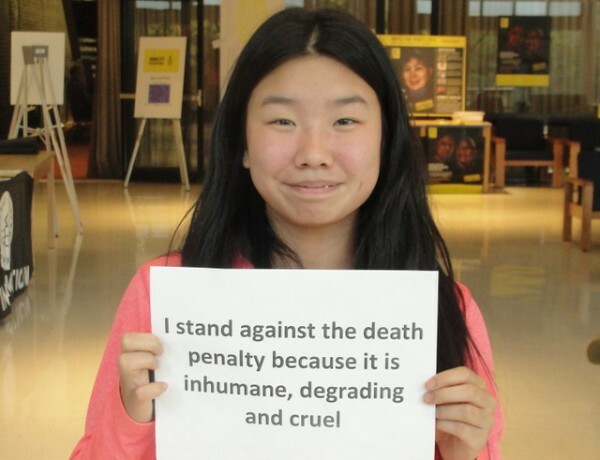 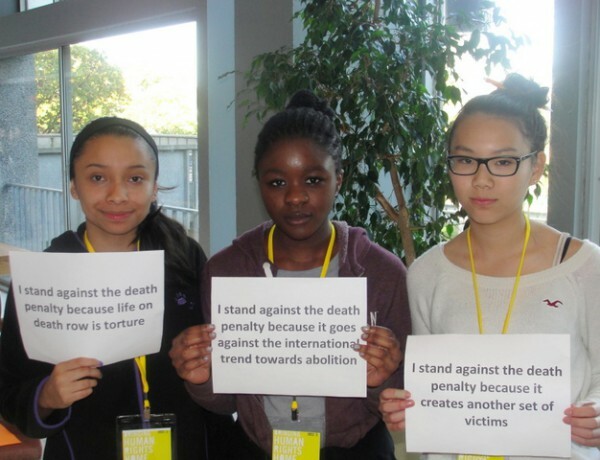 Students with the Peace and Justice League feel abolishing the death penalty is a good start.